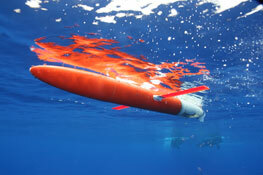 The SPRAY Glider is an ocean observing automonous underwater vehicle developed with the support of the Office of Naval Research by Scripps scientists and engineers. 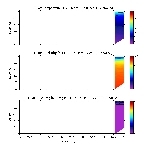 See the SIO IDG Spray webpage for details. 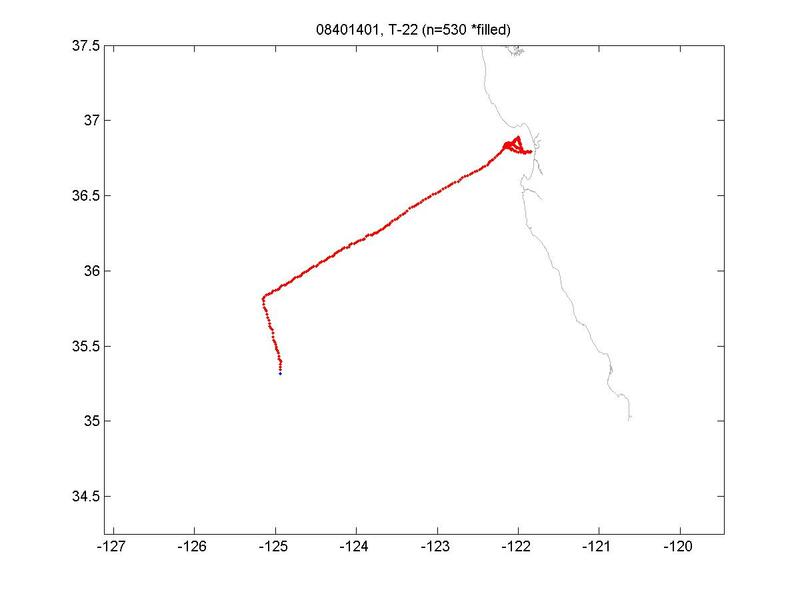 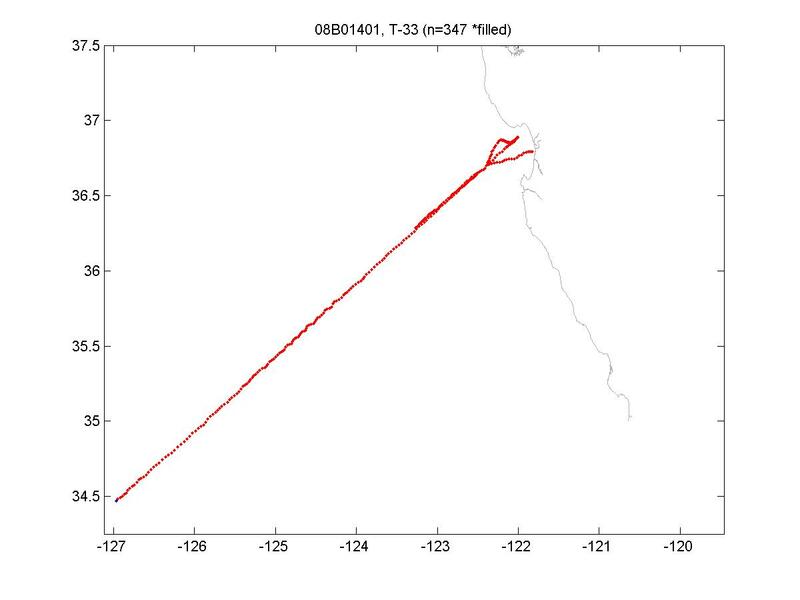 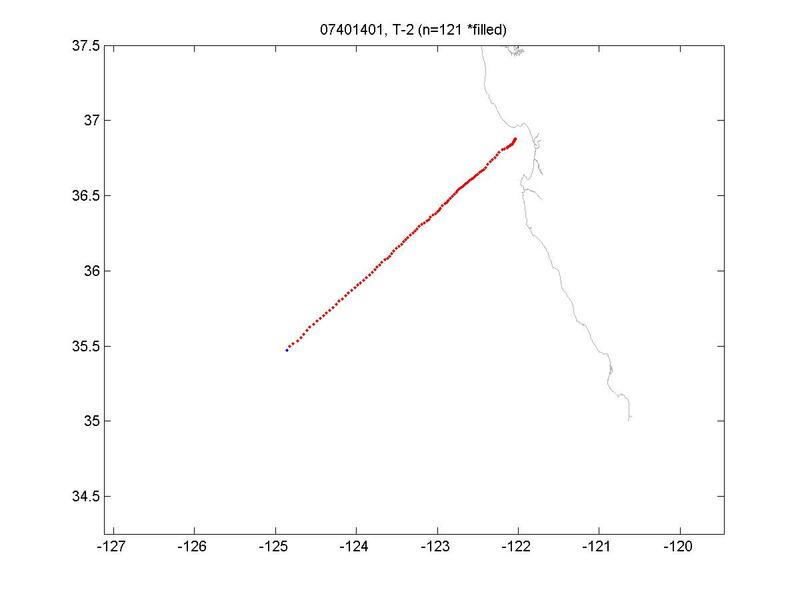 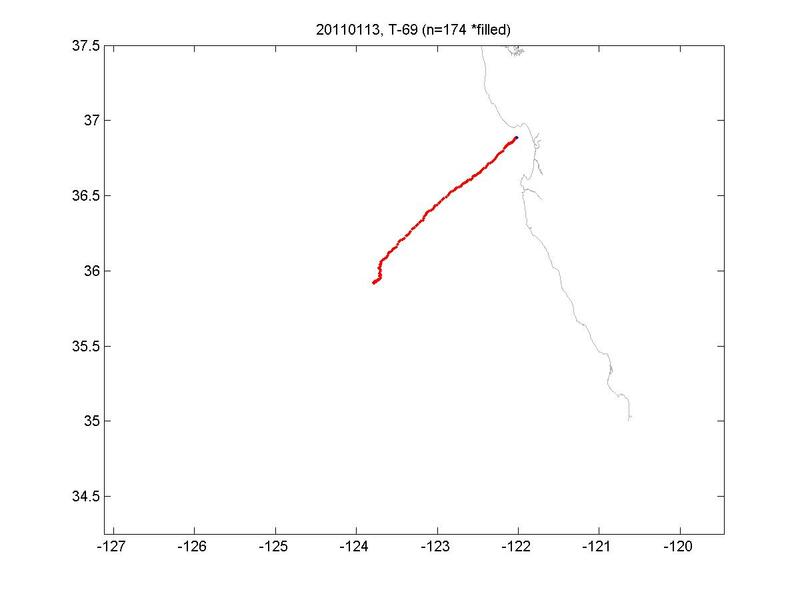 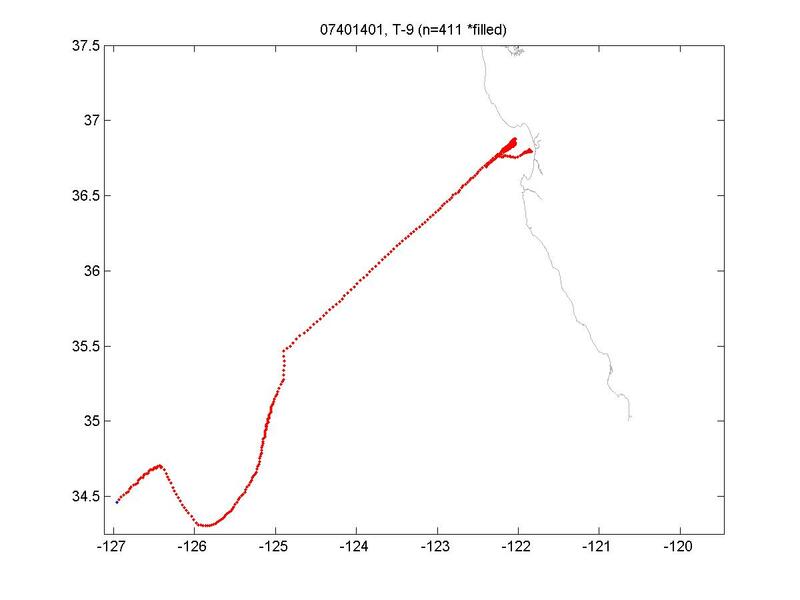 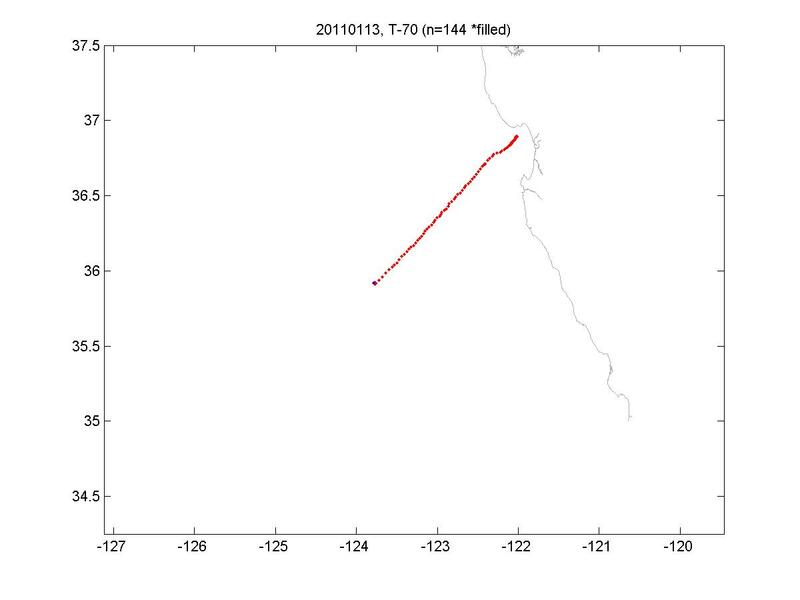 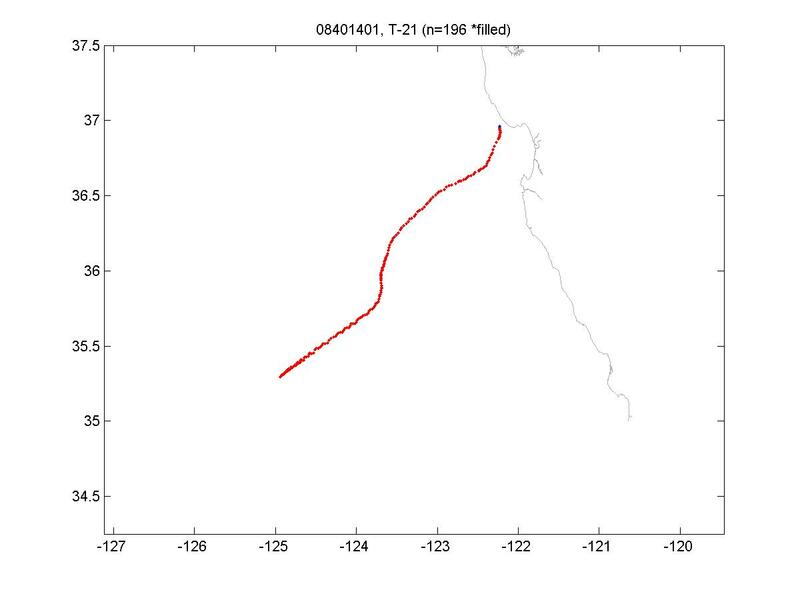 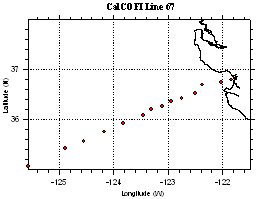 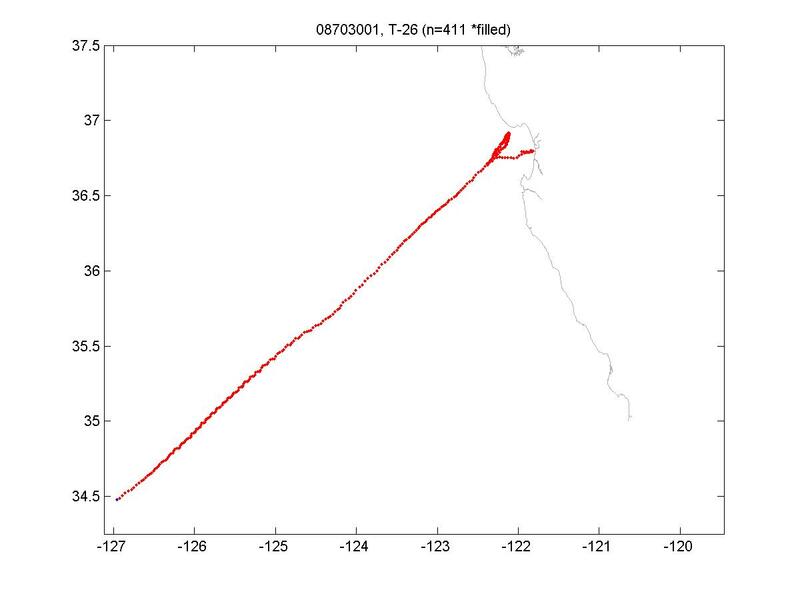 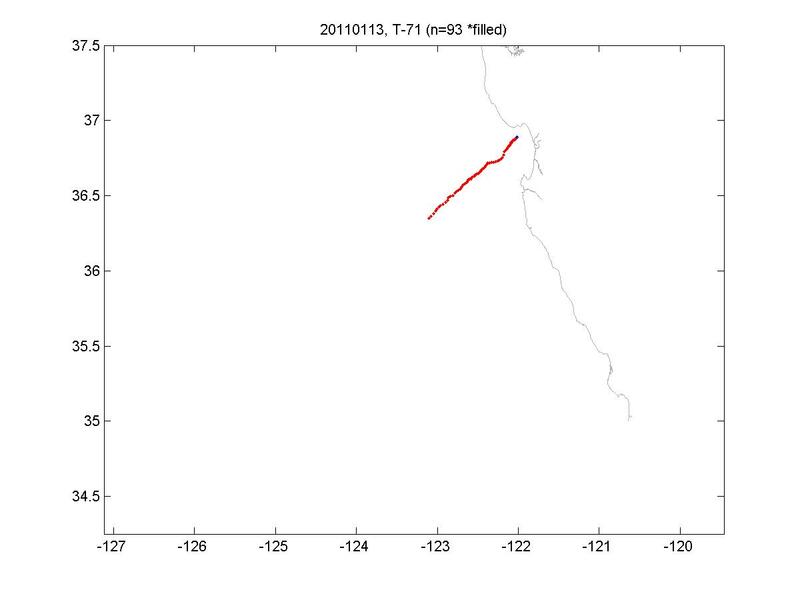 The transects below were taken along CalCOFI Line 67, beginning in 2007 and continuing to the present day. 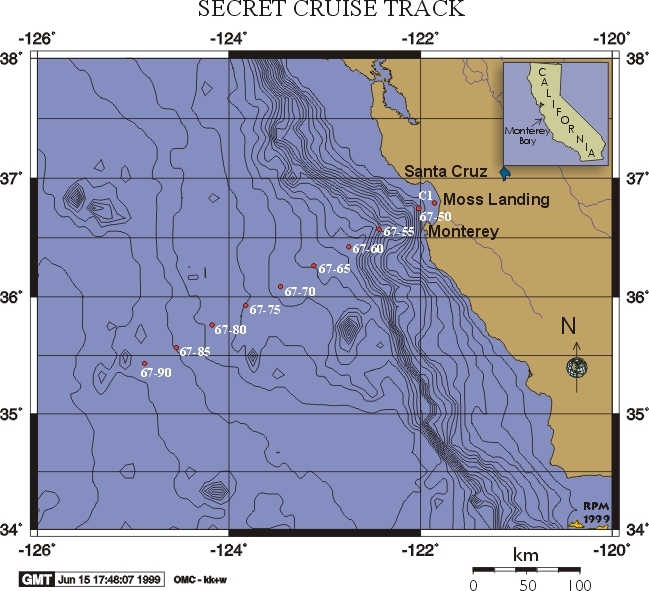 The Line 67 effort is a collaboration between Scripps and MBARI and is funded by the State of California and NOAA. 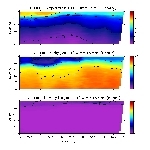 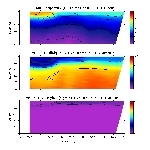 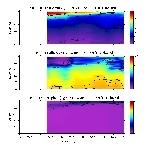 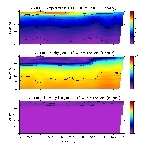 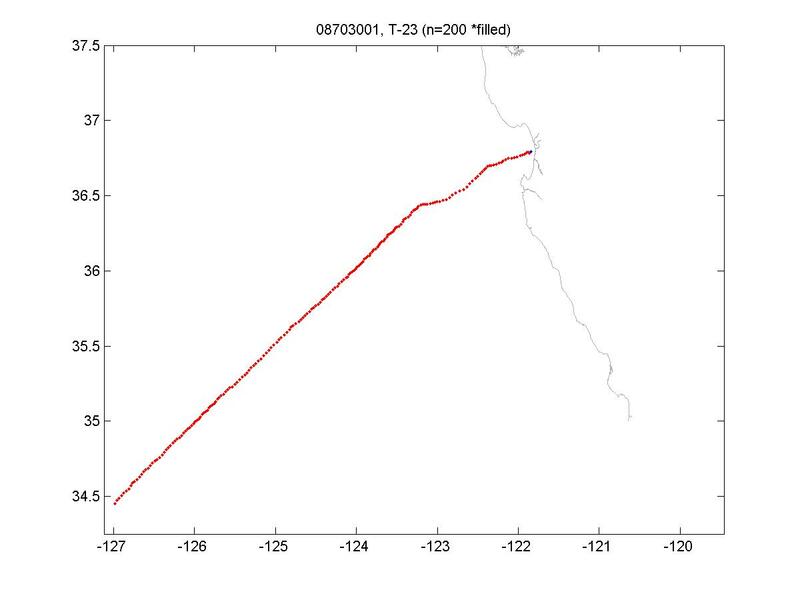 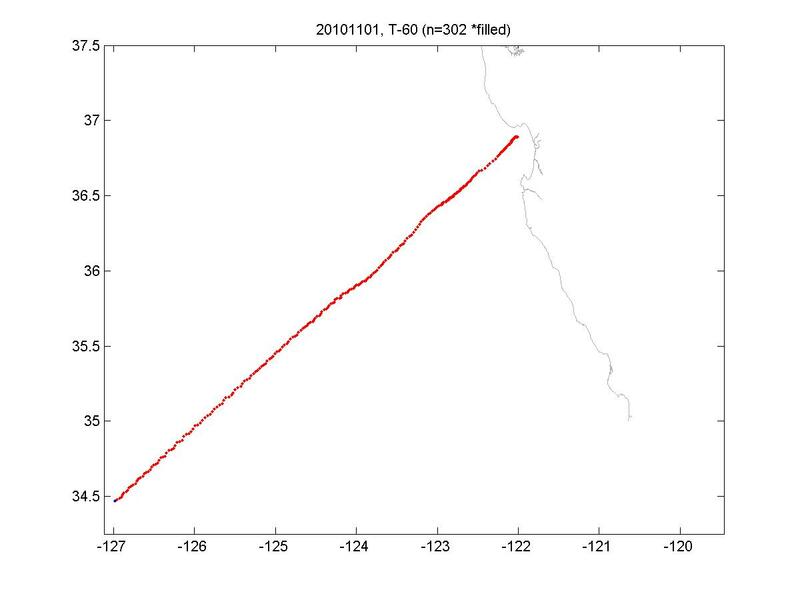 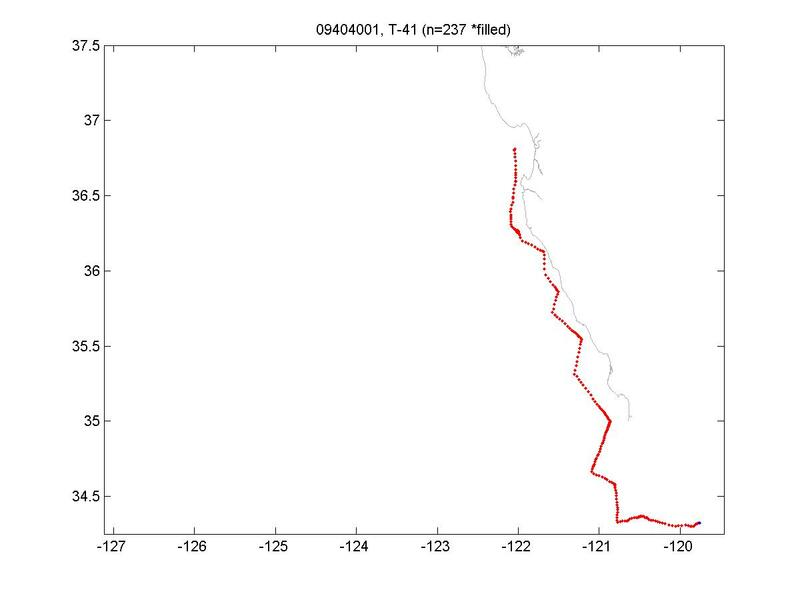 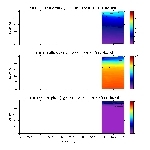 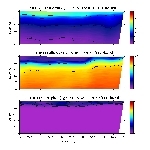 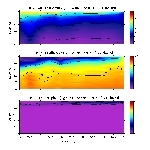 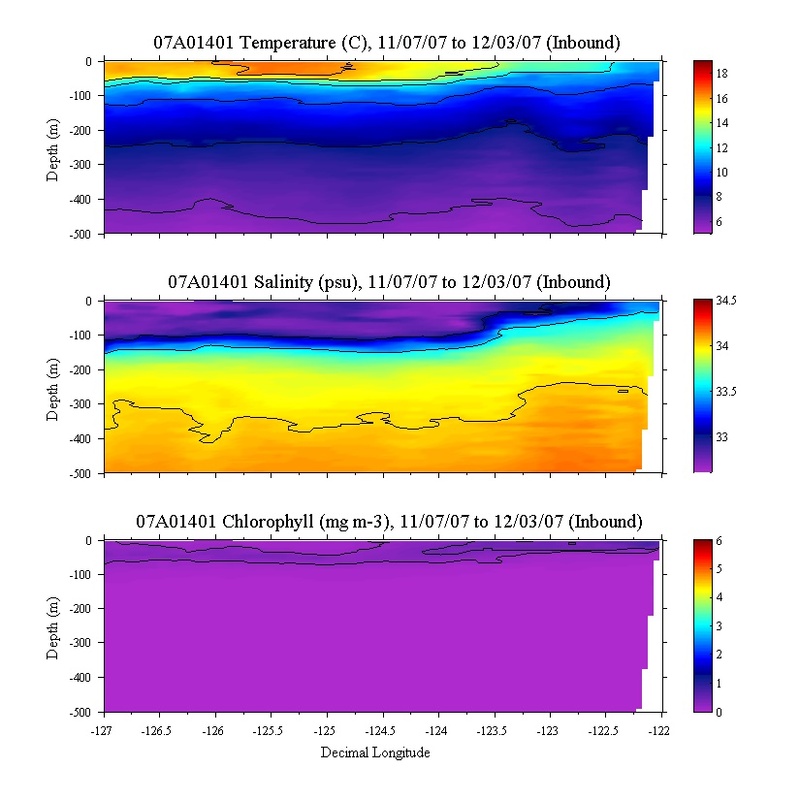 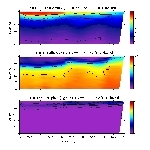 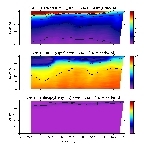 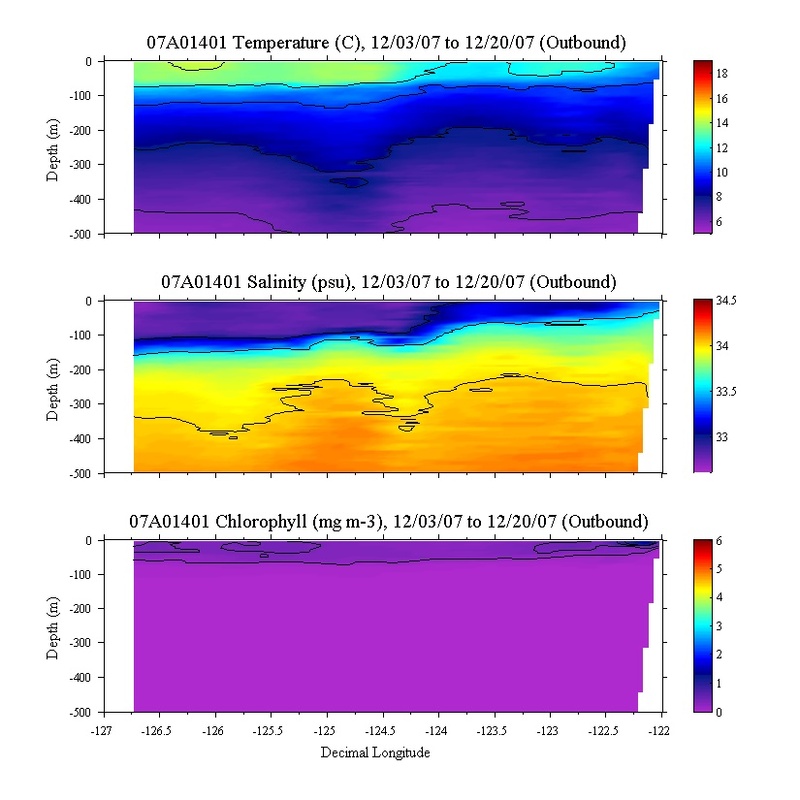 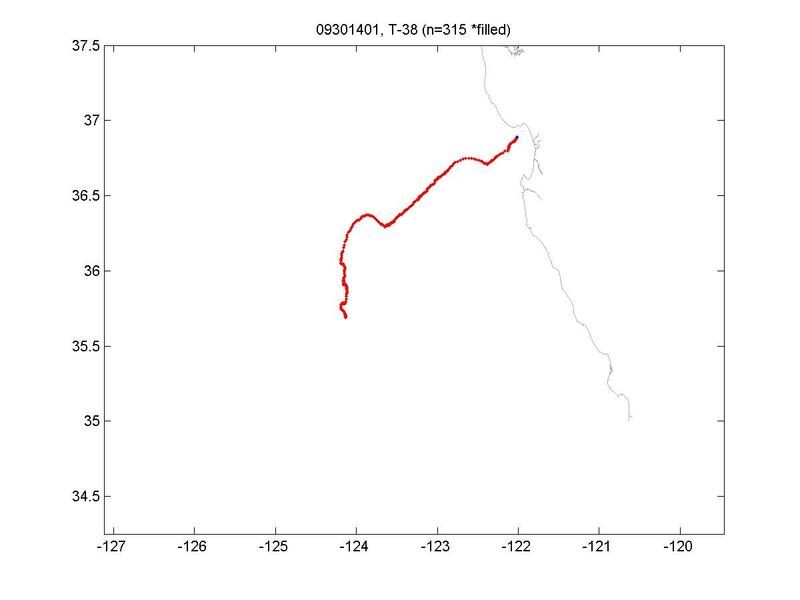 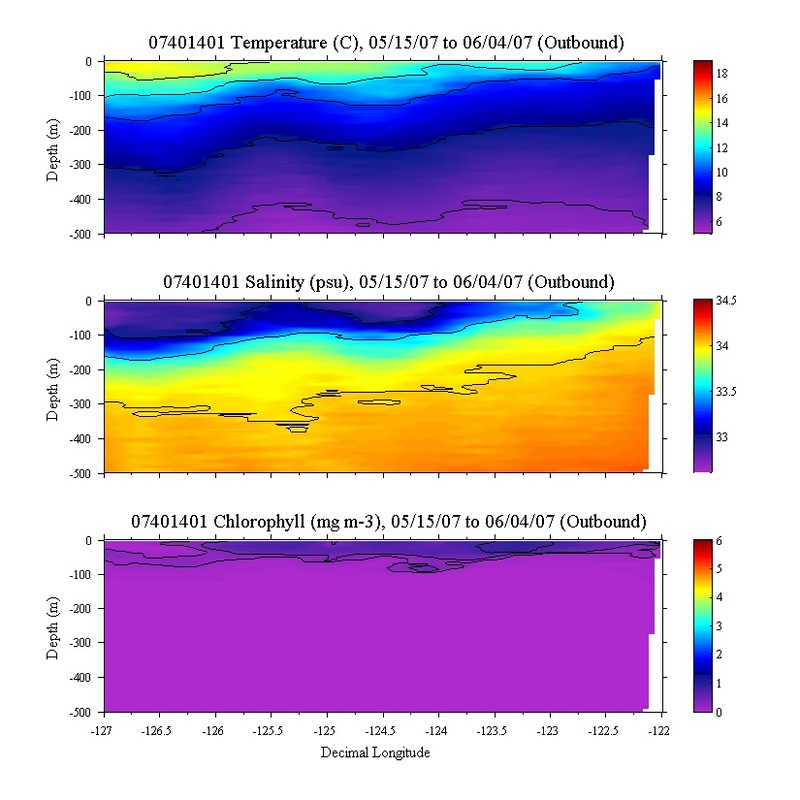 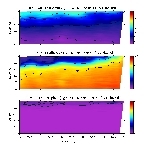 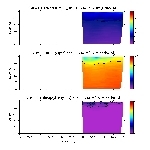 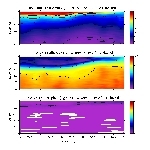 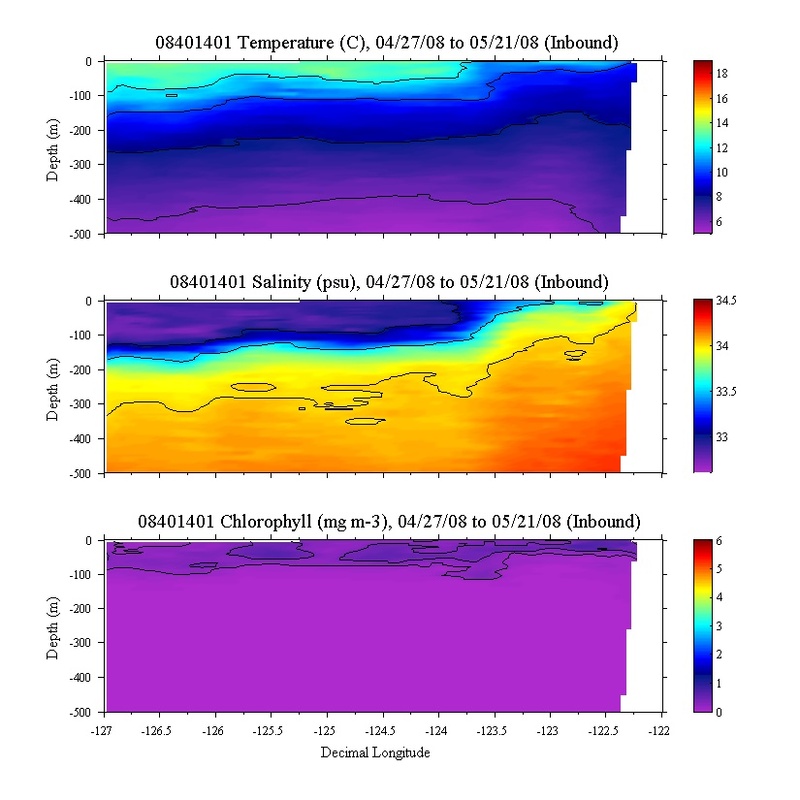 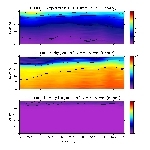 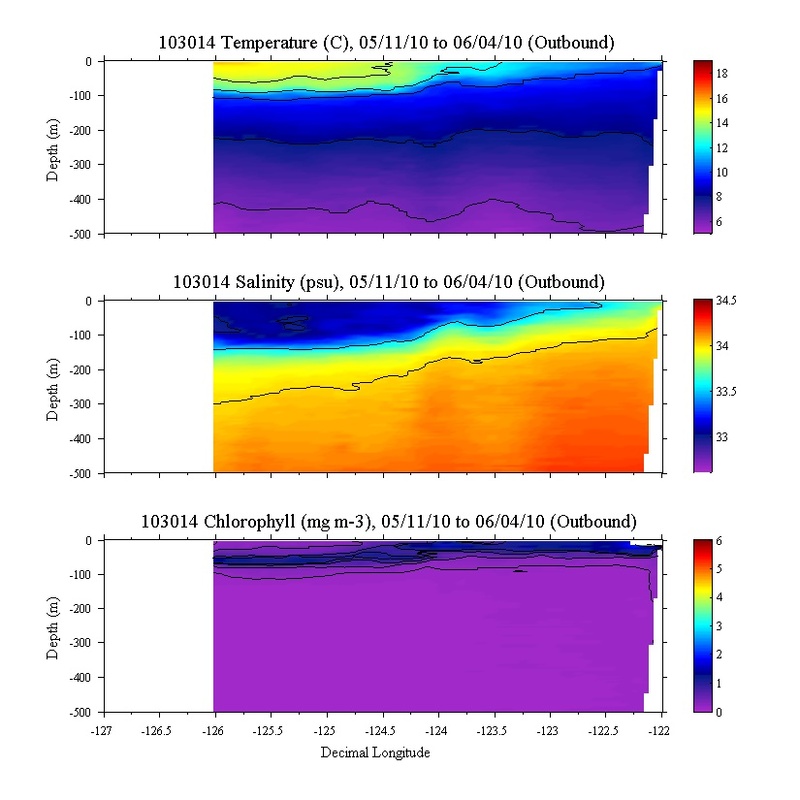 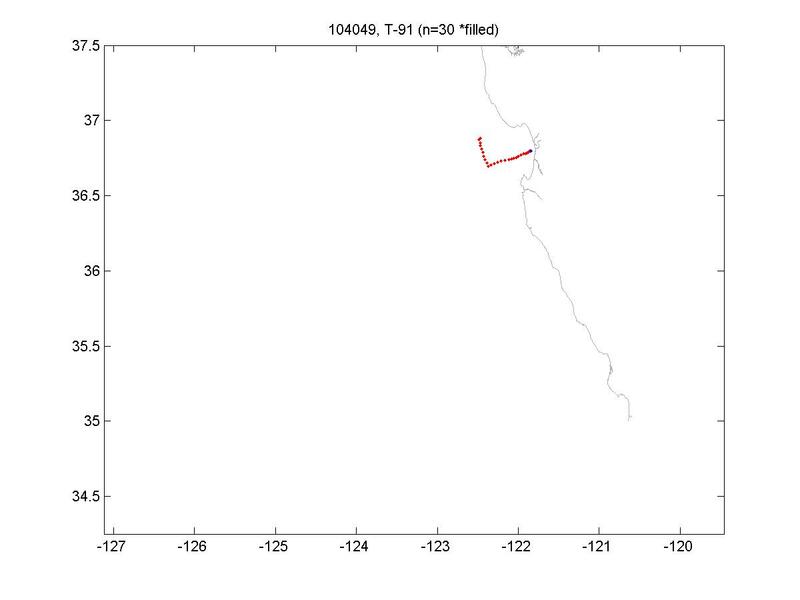 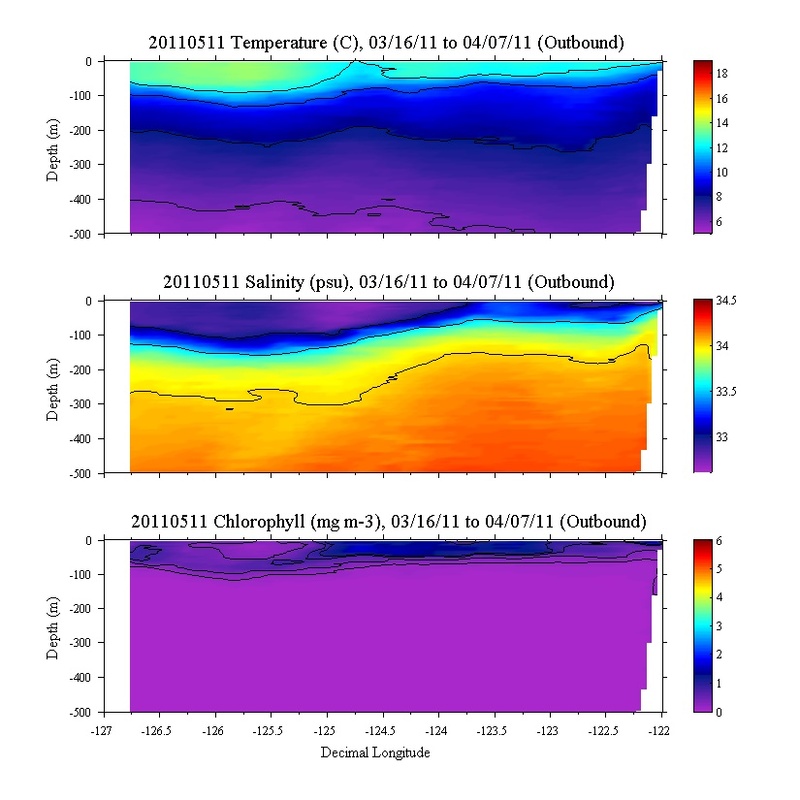 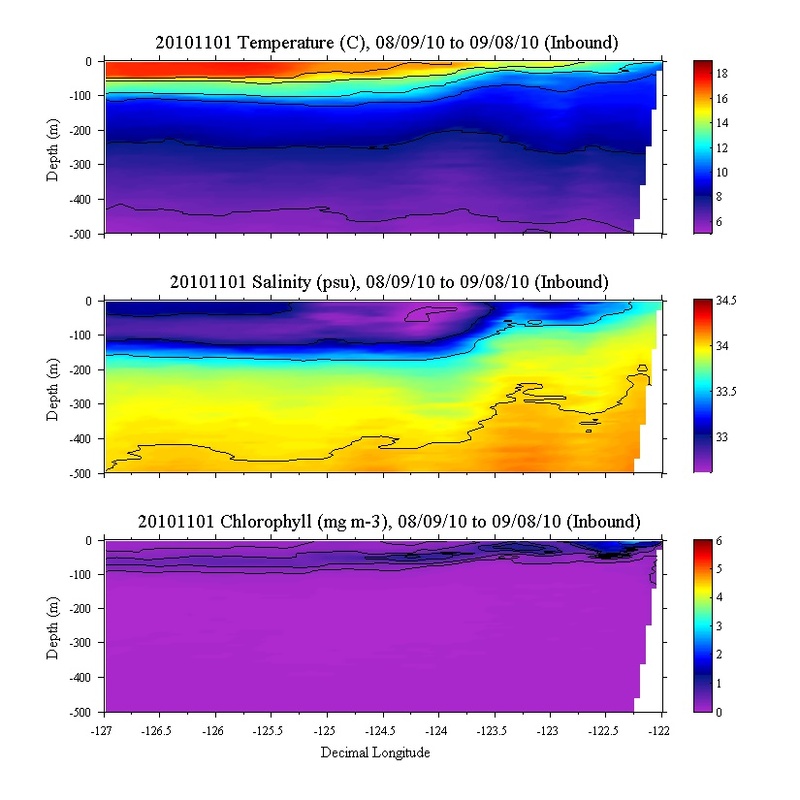 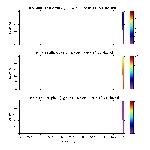 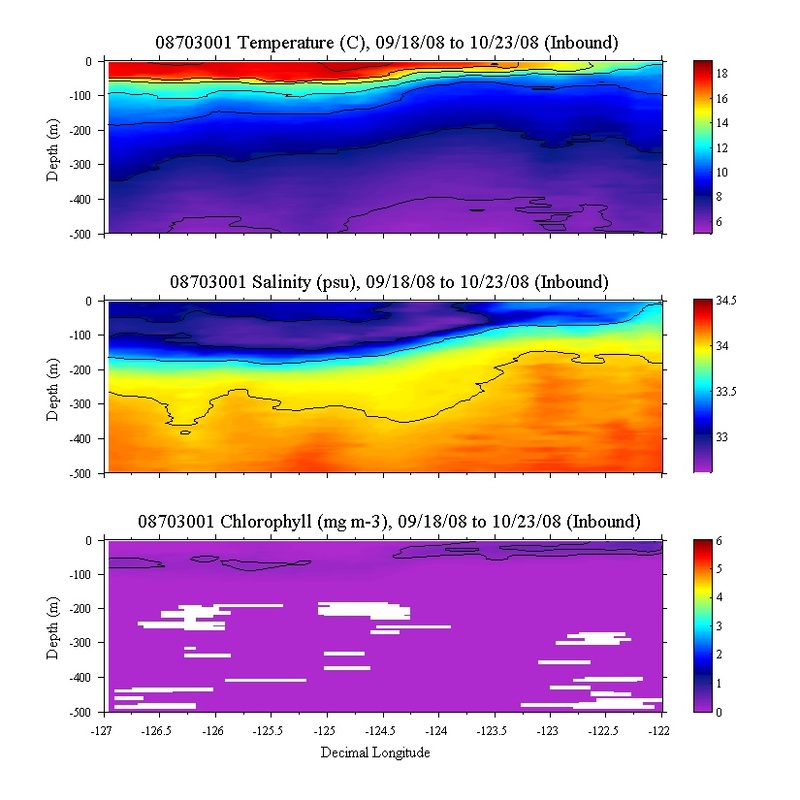 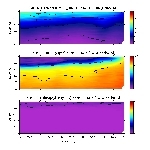 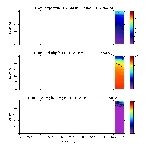 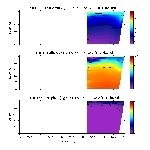 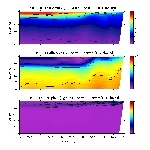 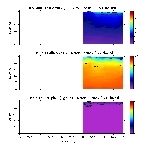 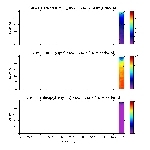 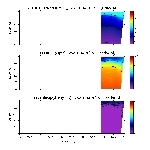 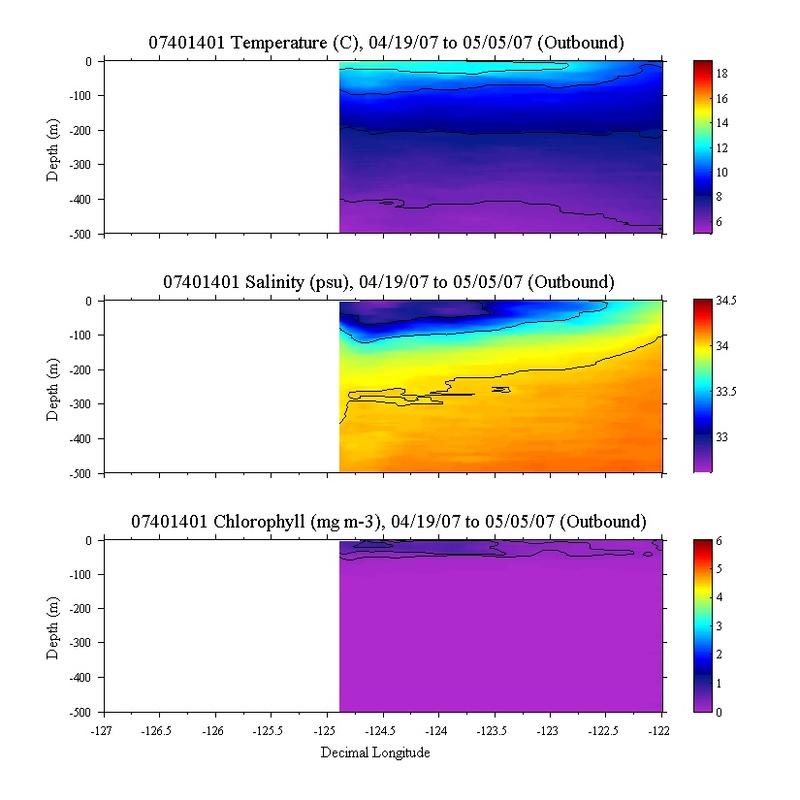 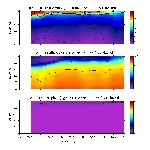 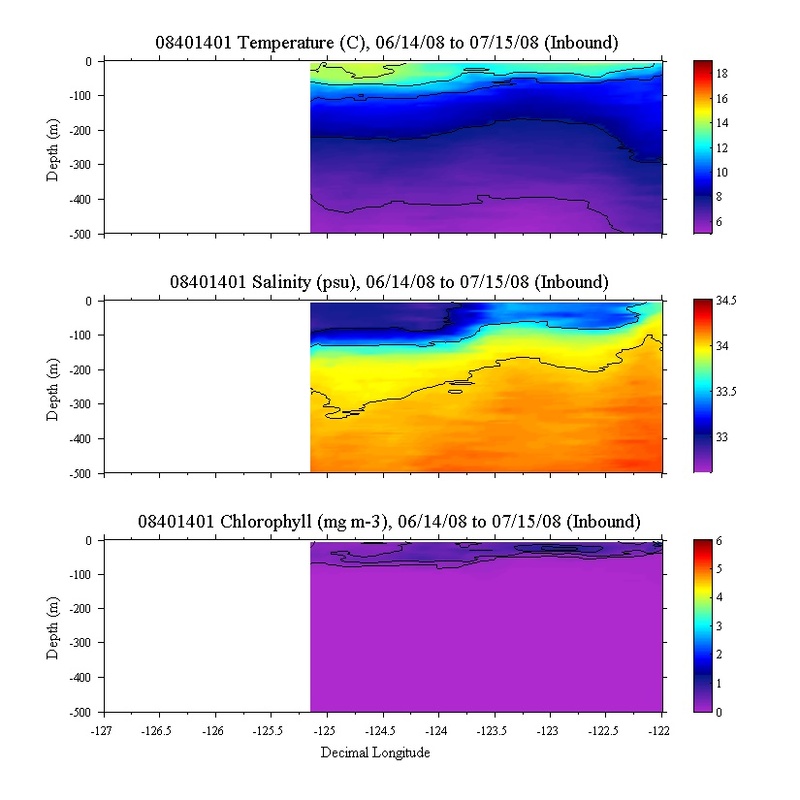 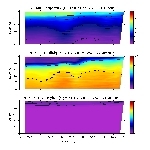 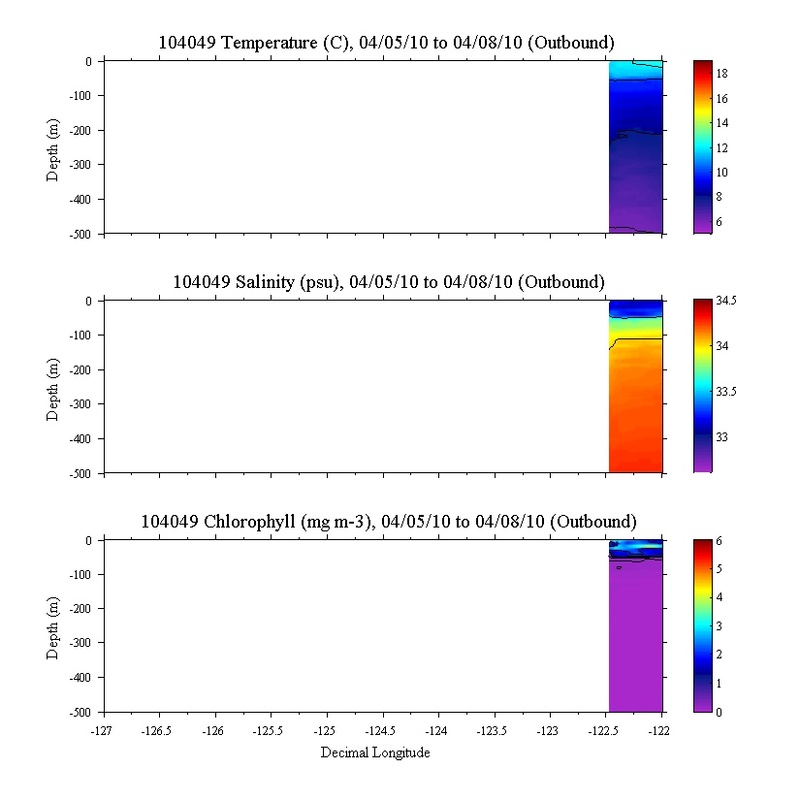 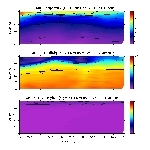 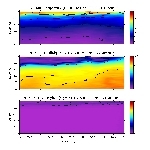 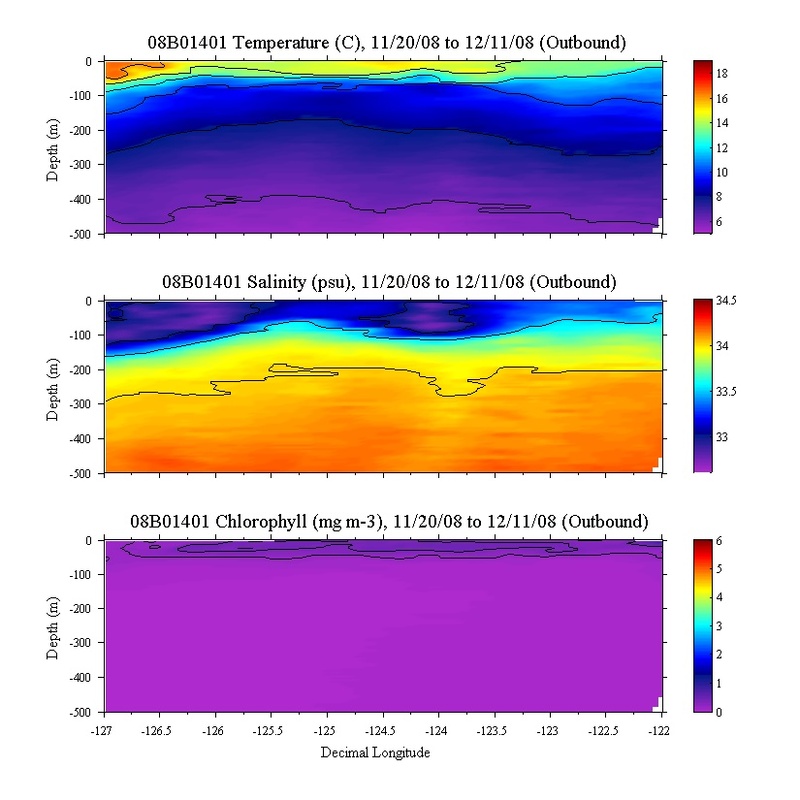 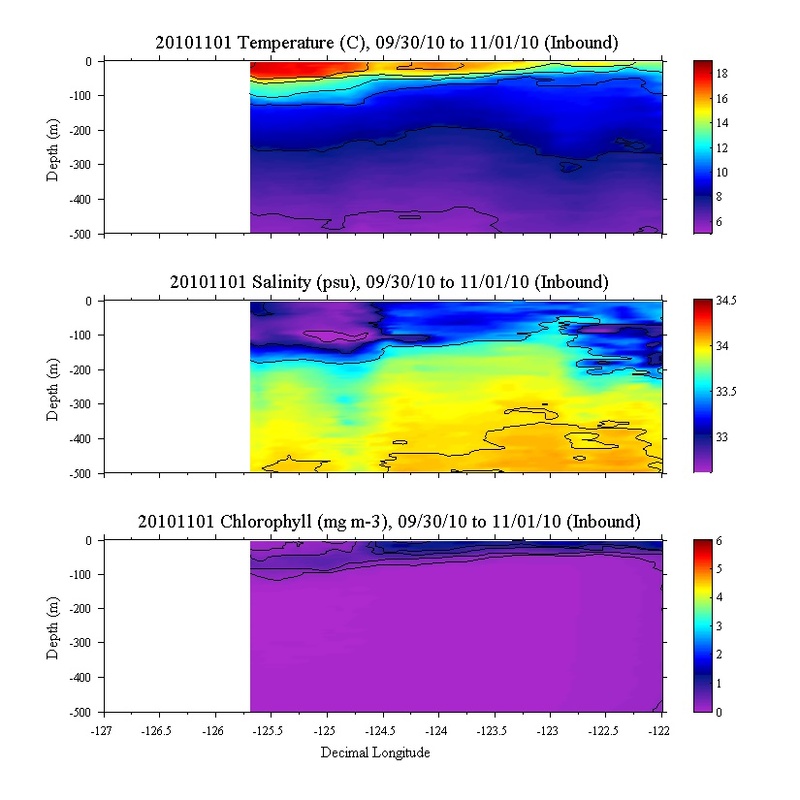 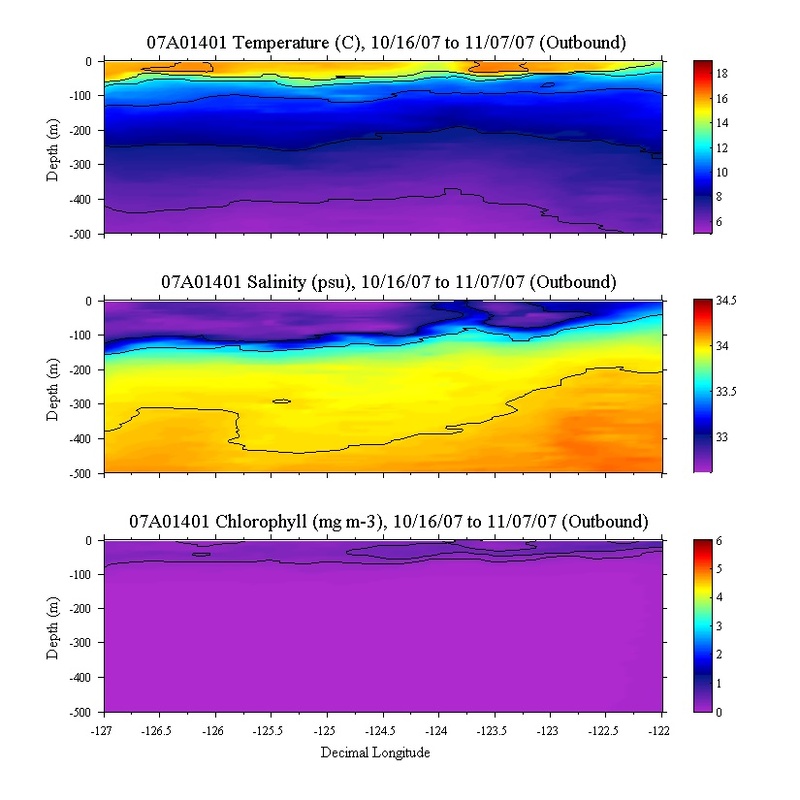 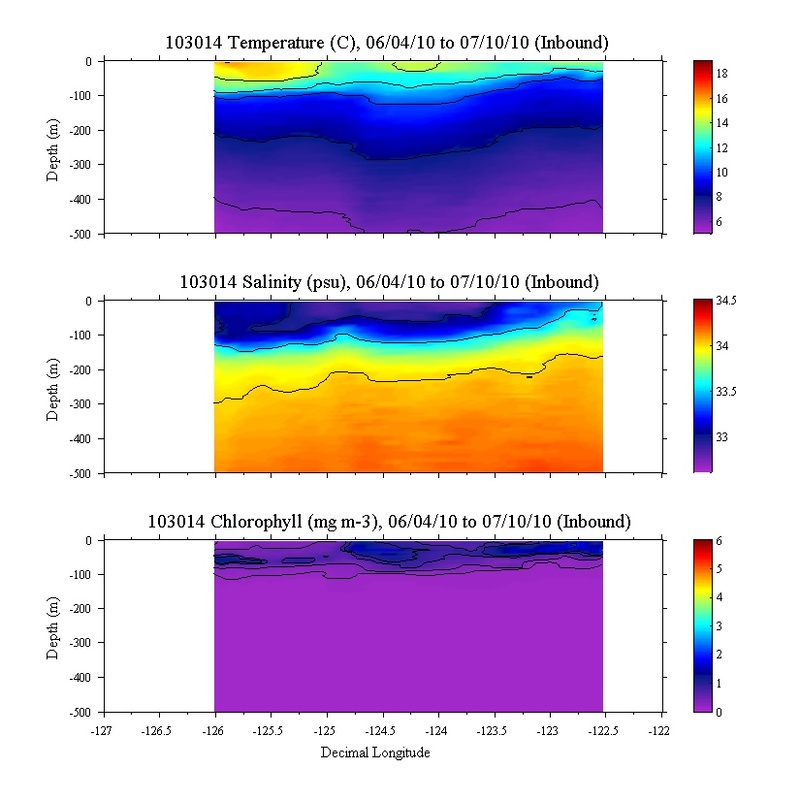 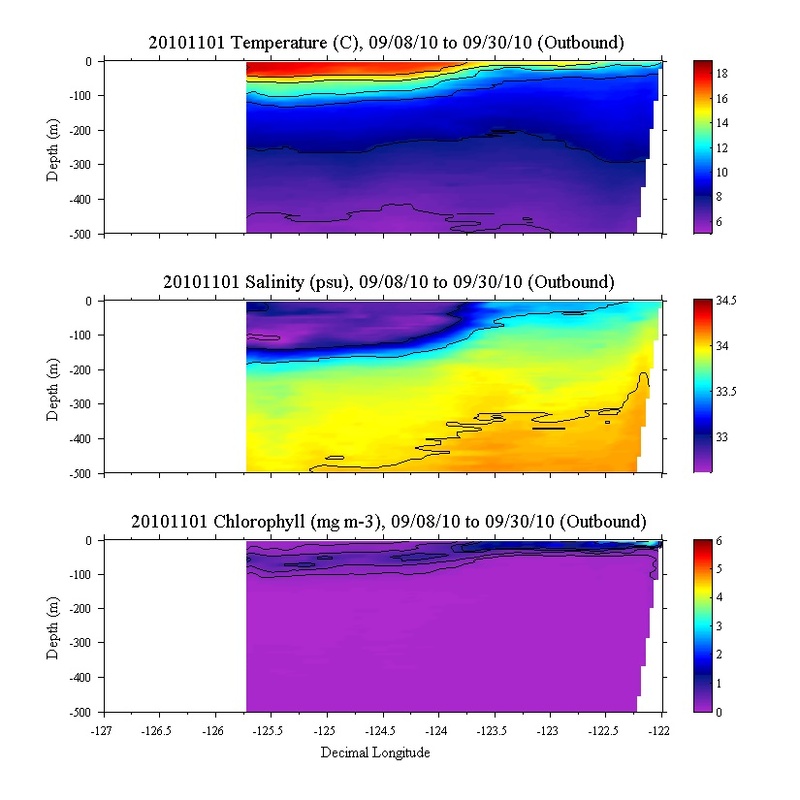 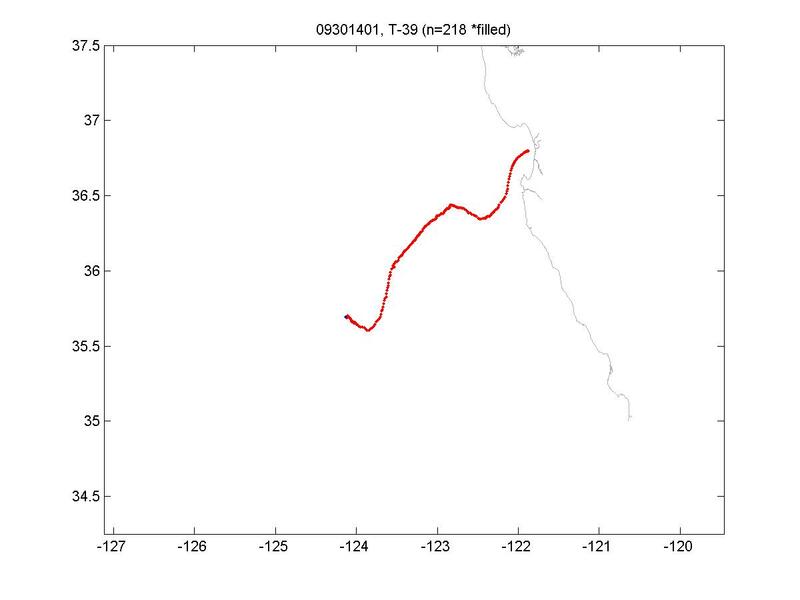 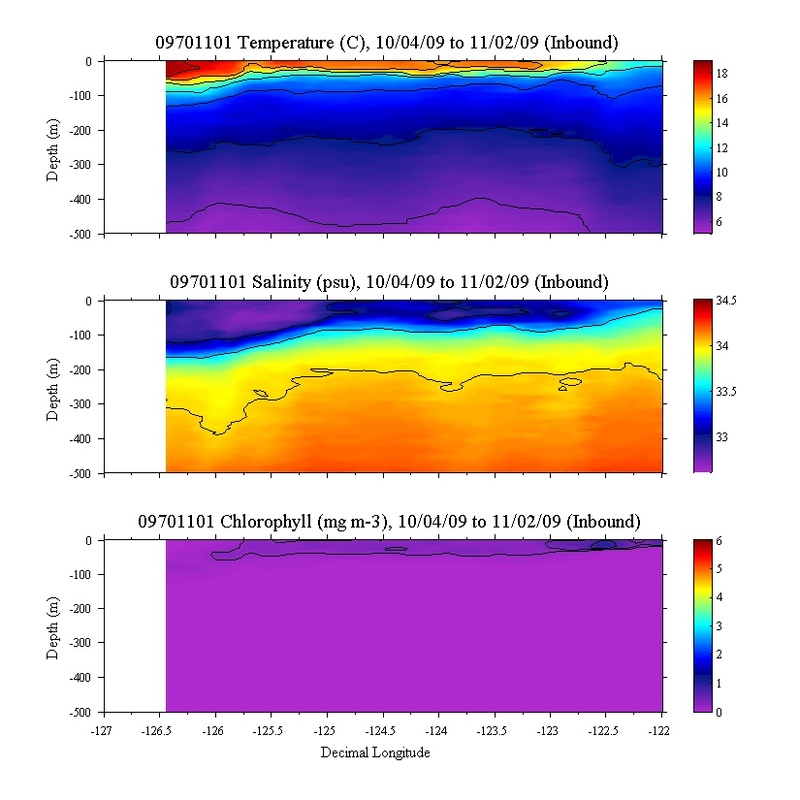 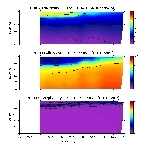 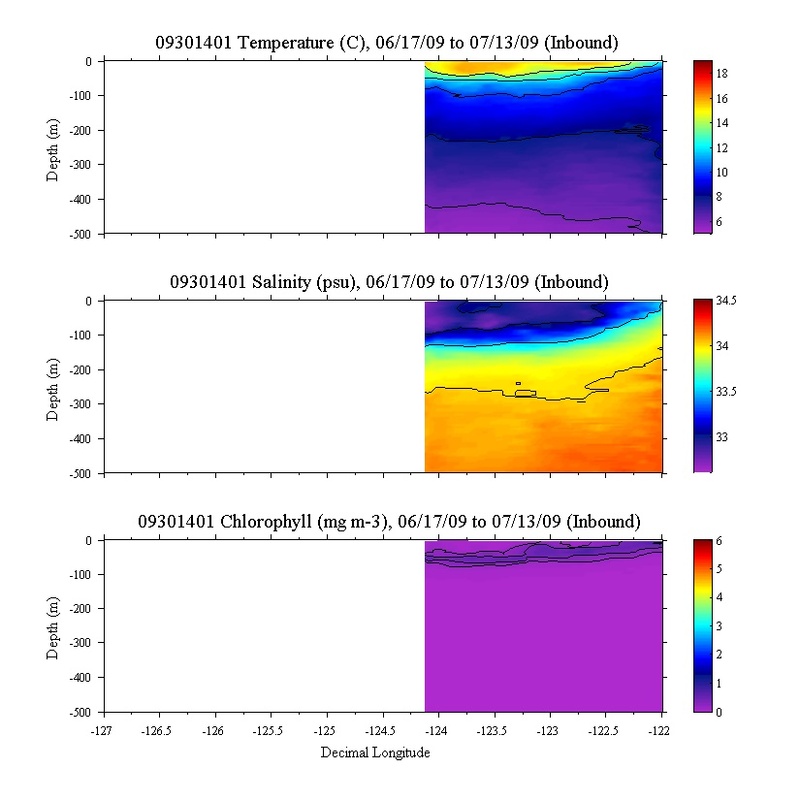 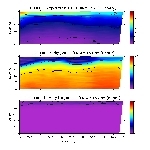 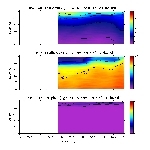 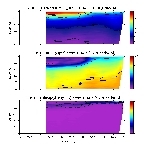 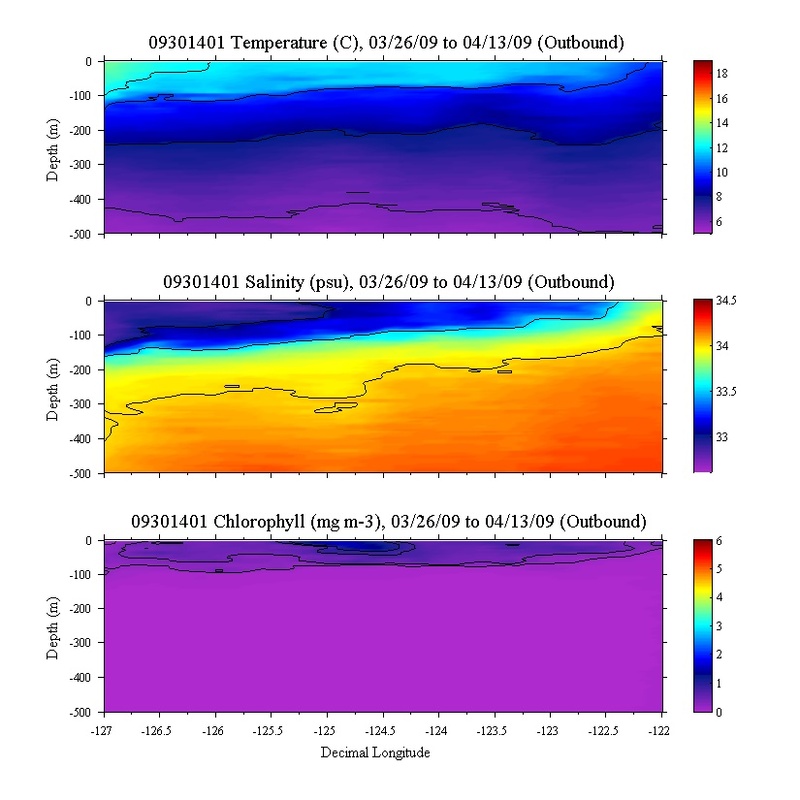 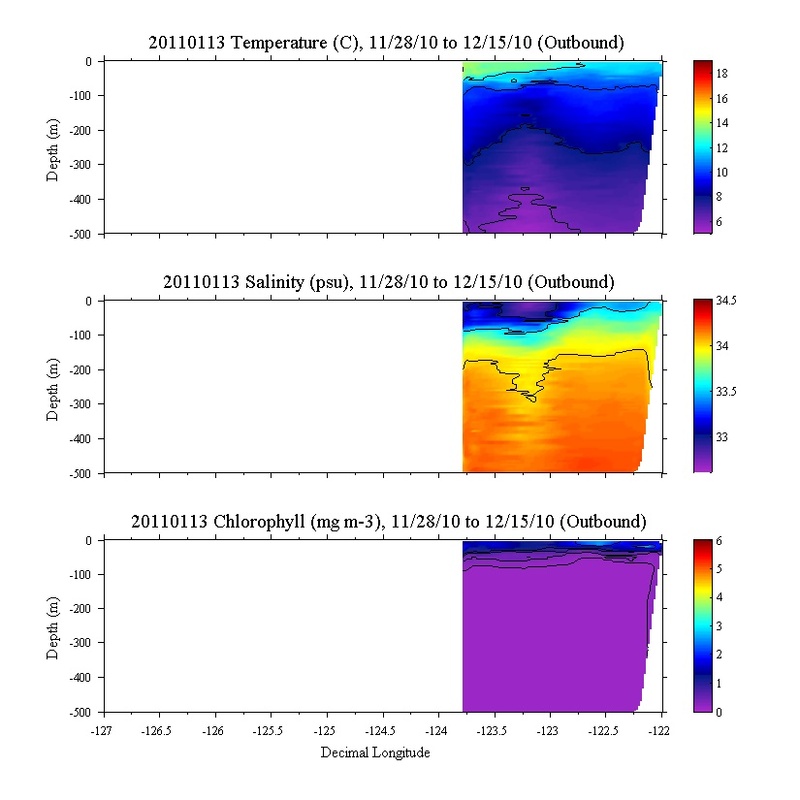 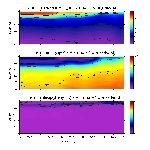 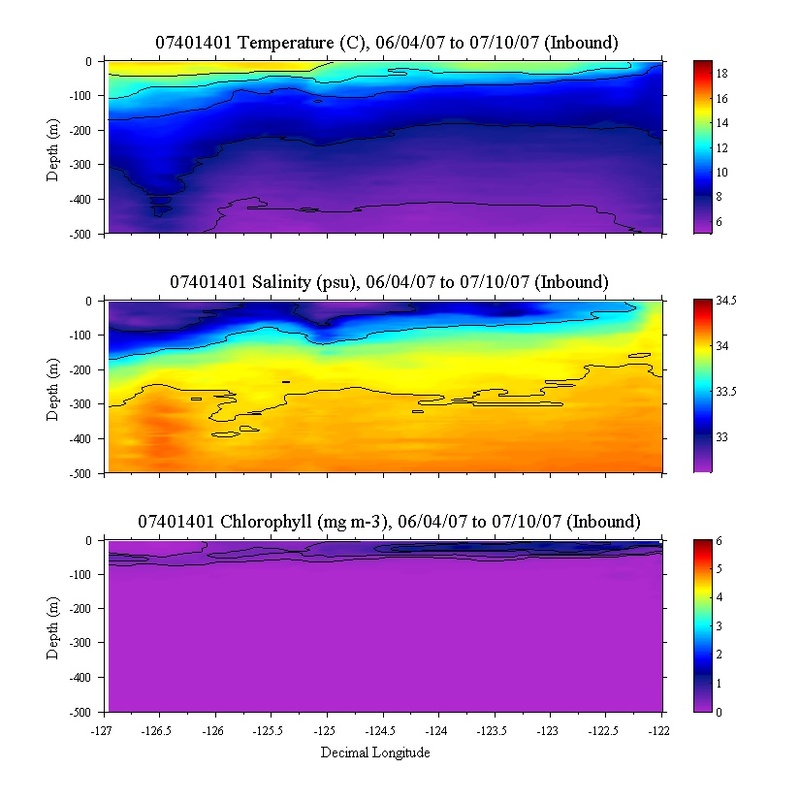 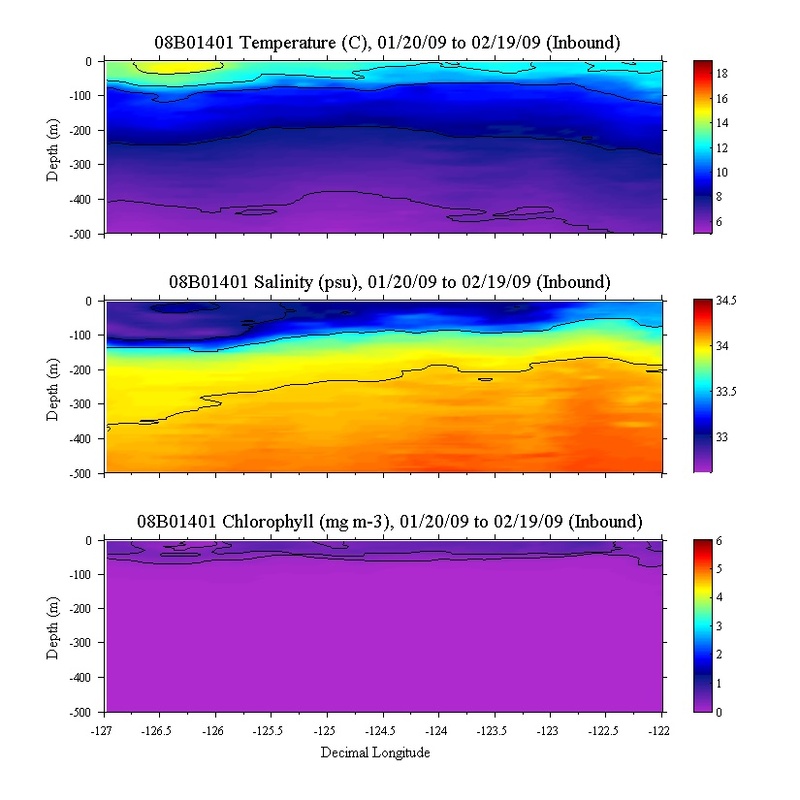 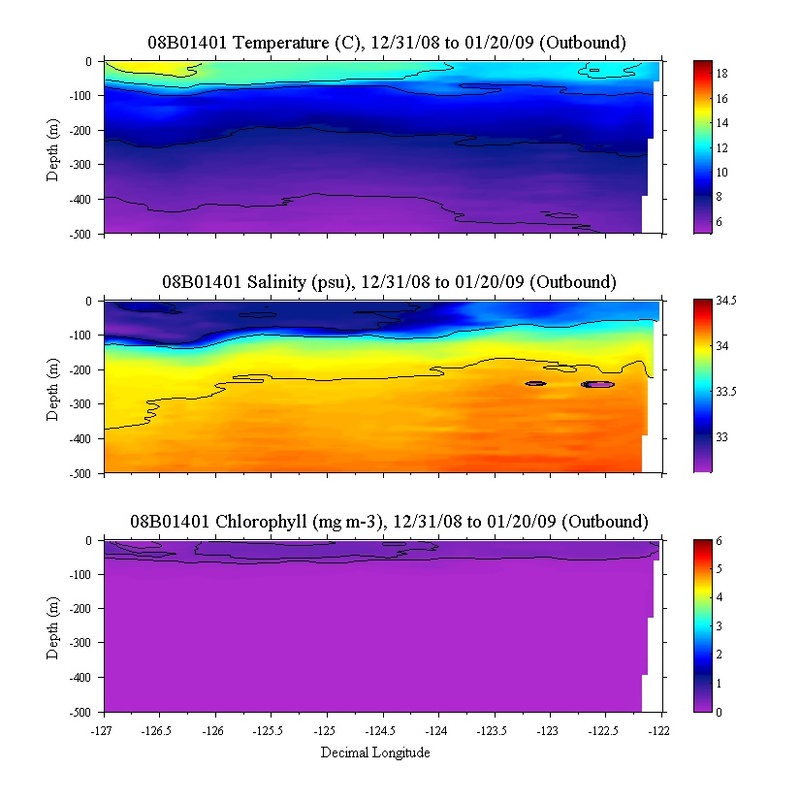 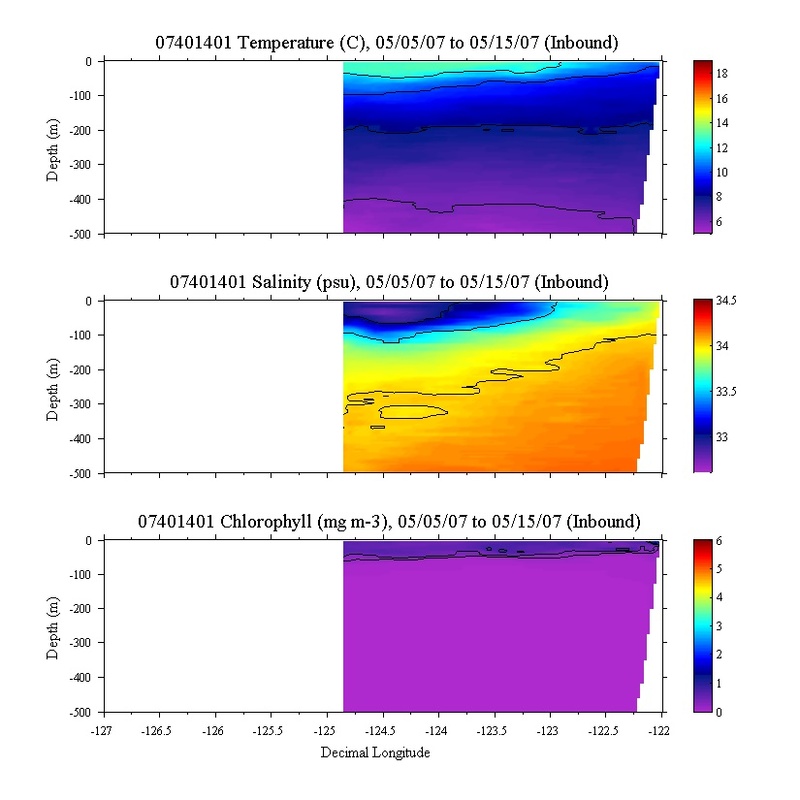 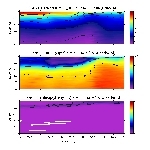 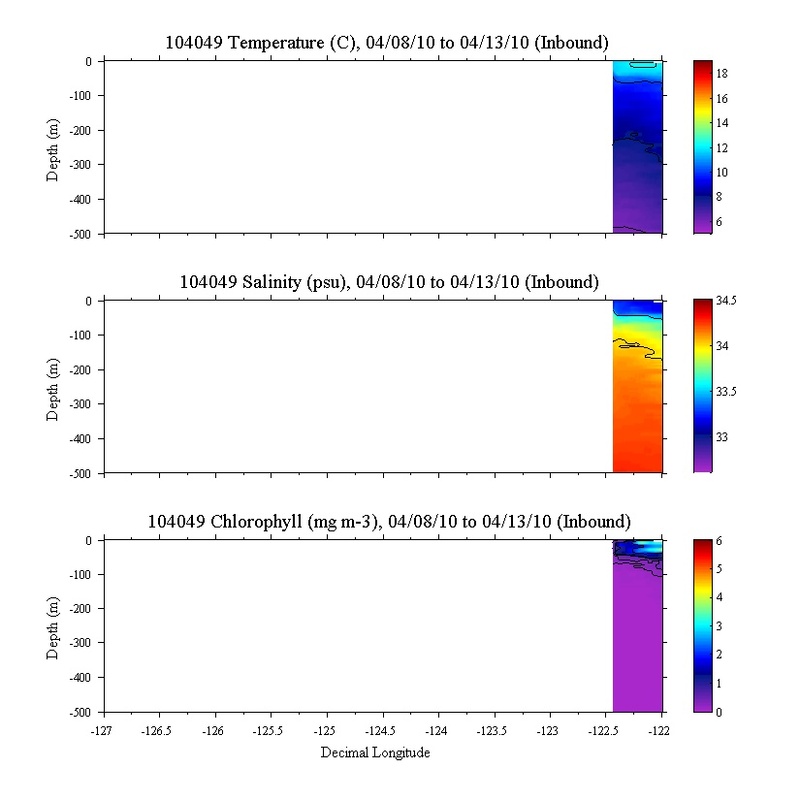 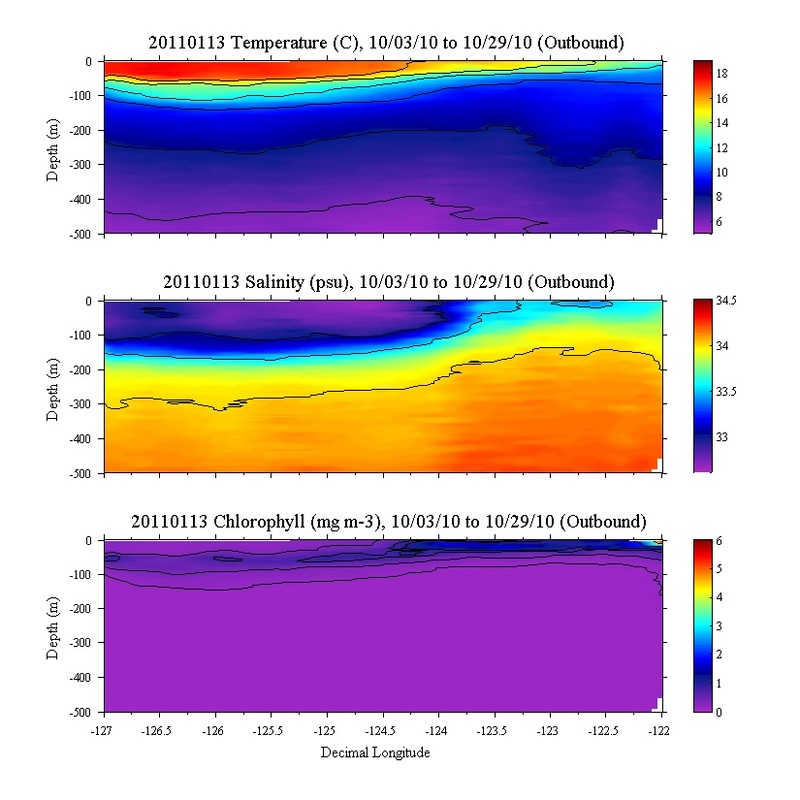 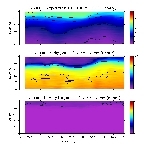 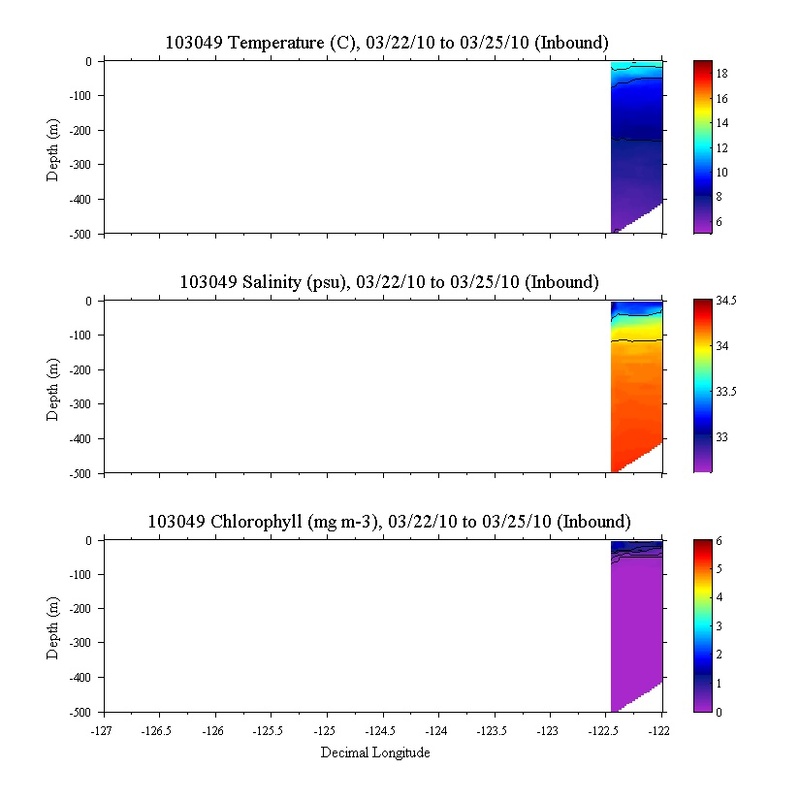 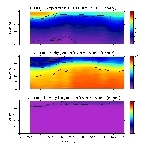 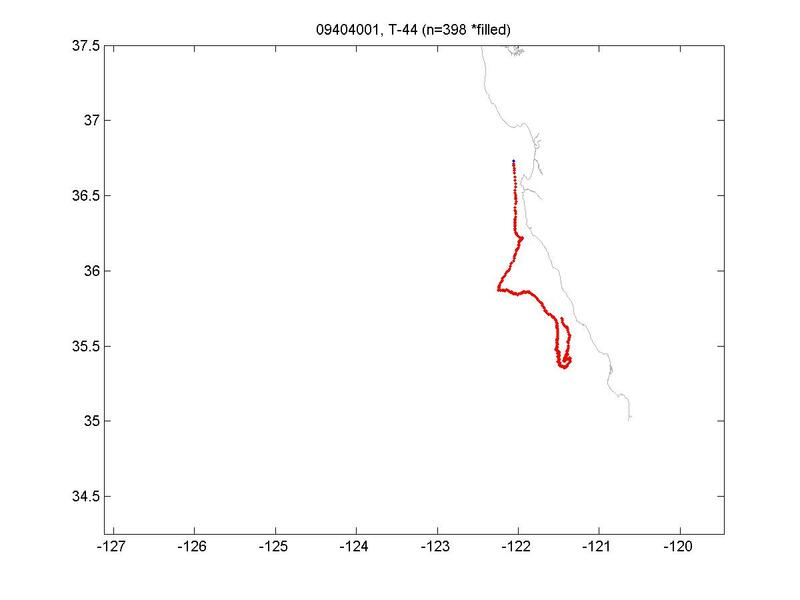 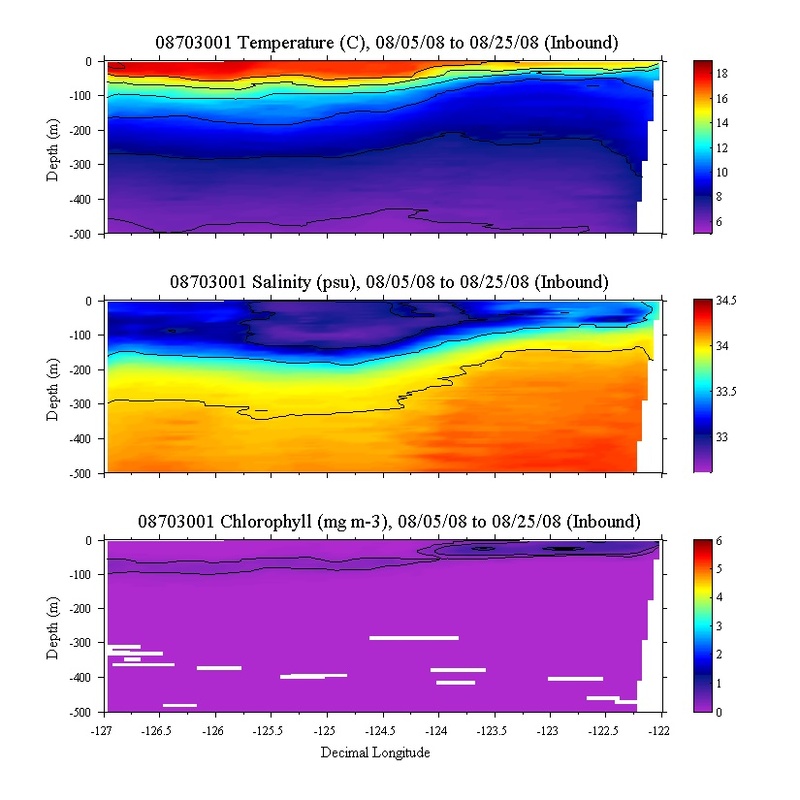 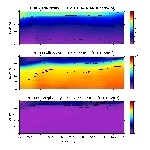 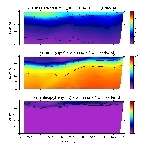 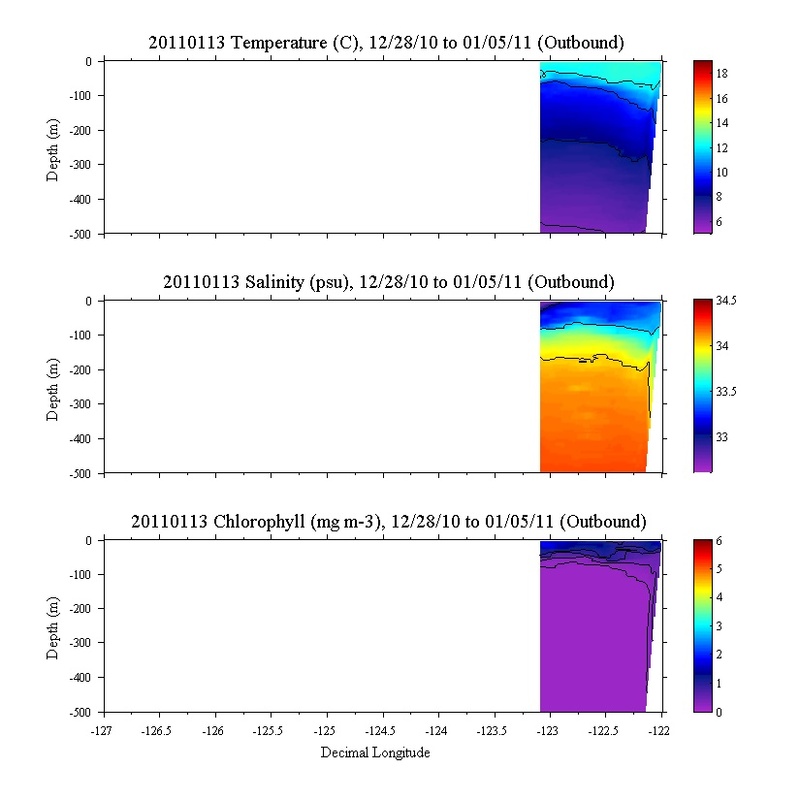 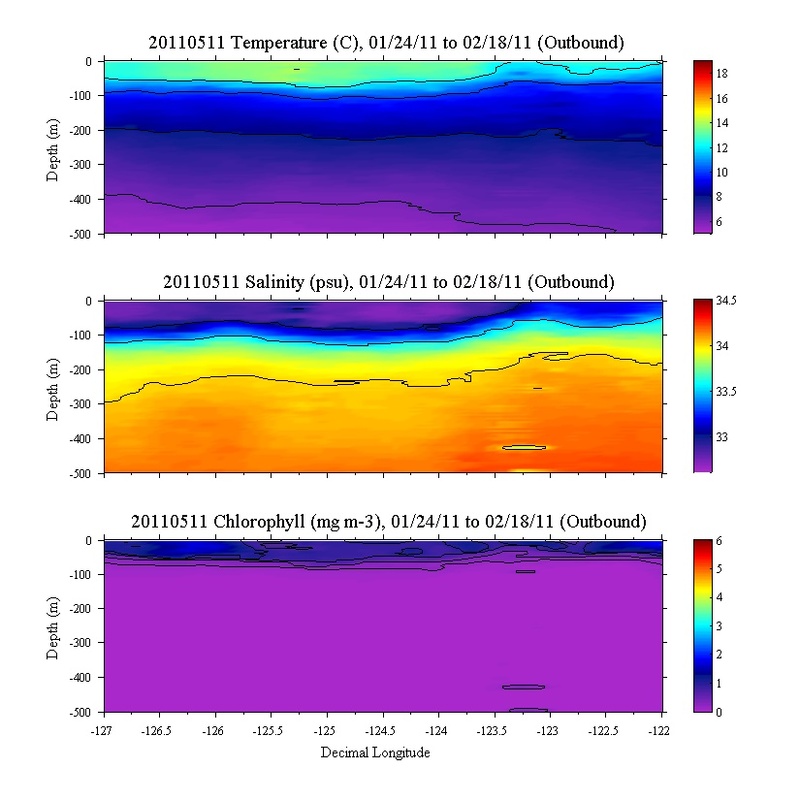 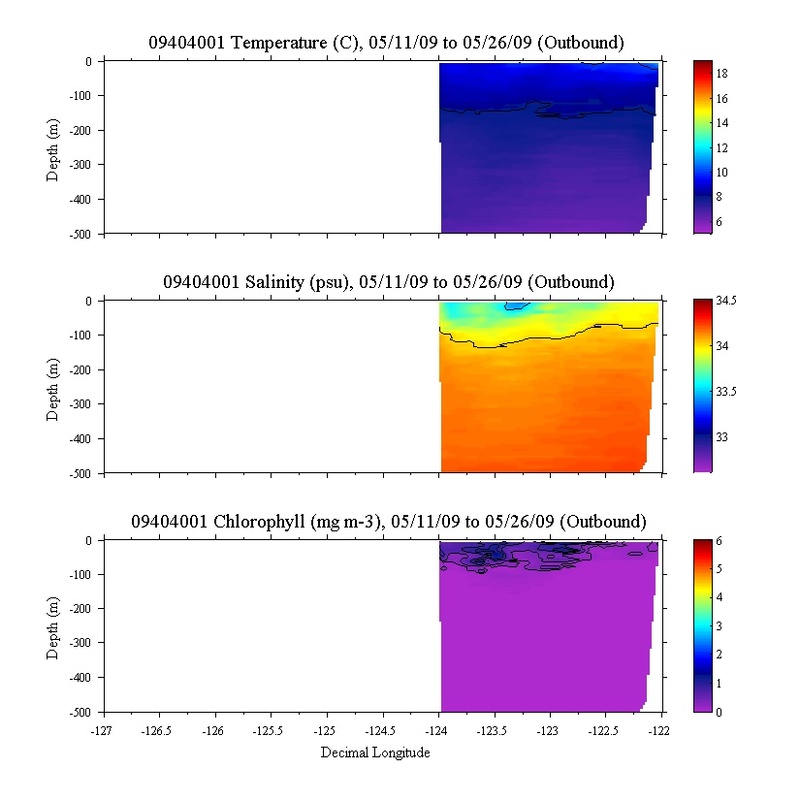 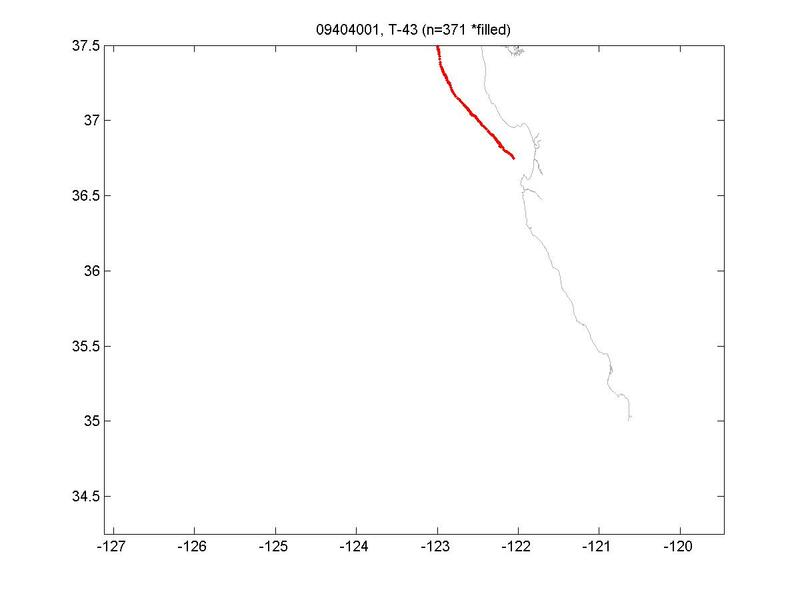 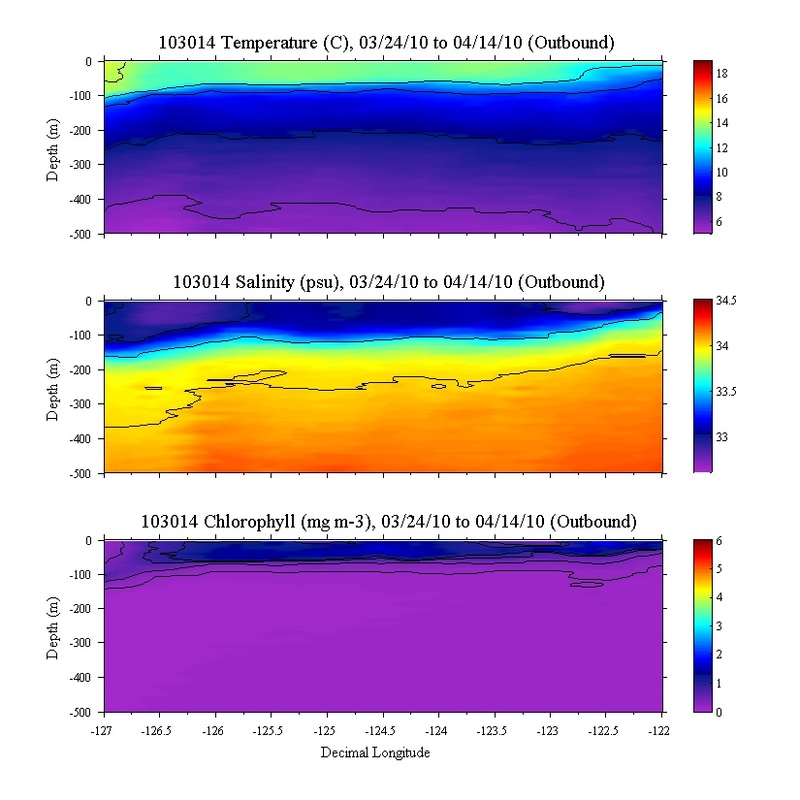 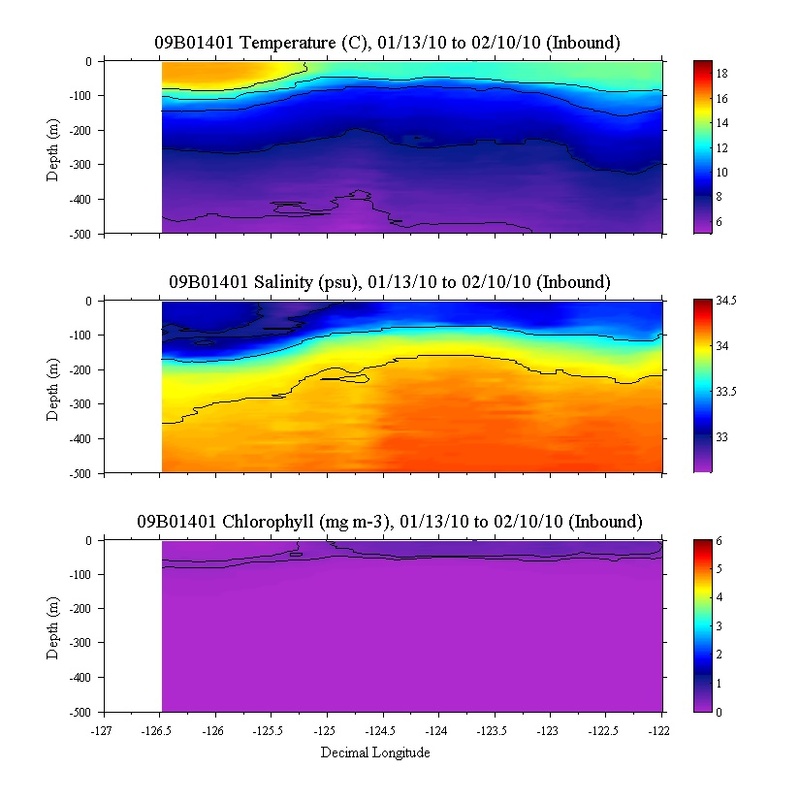 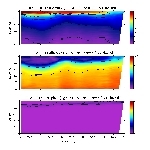 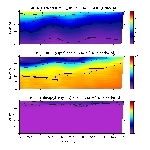 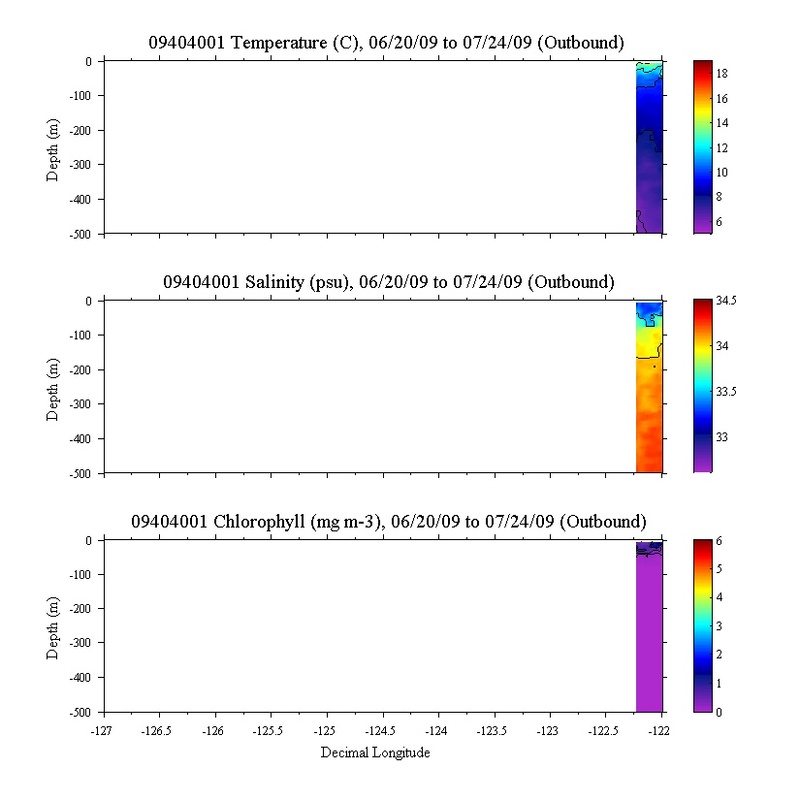 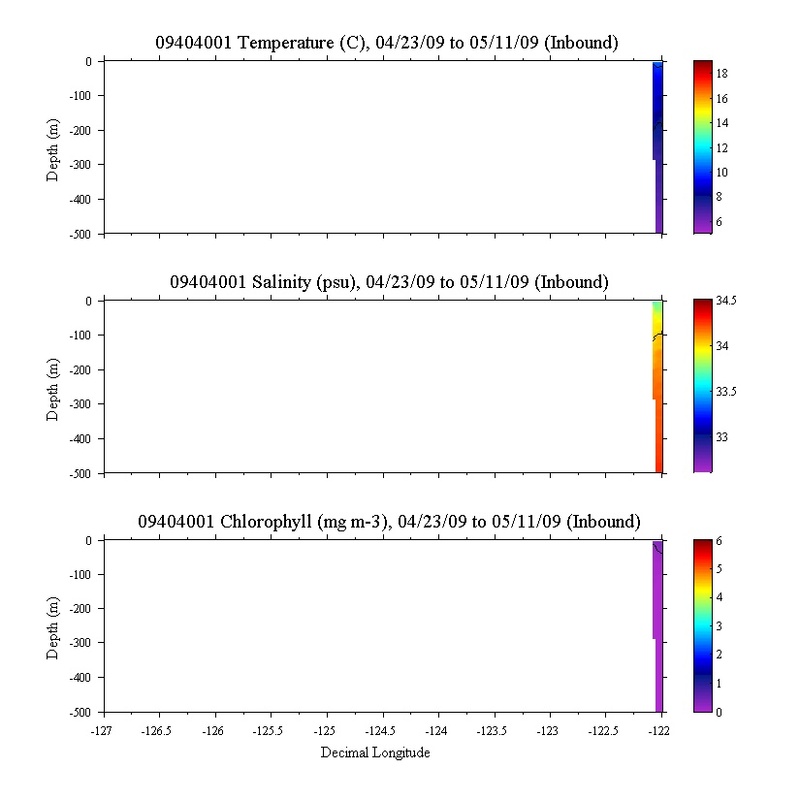 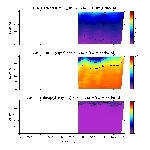 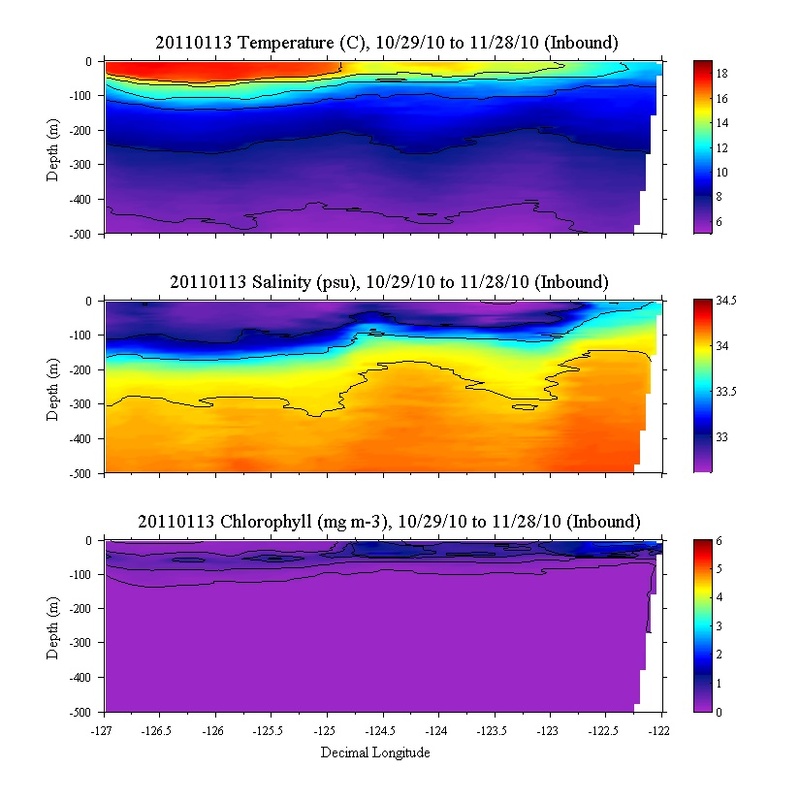 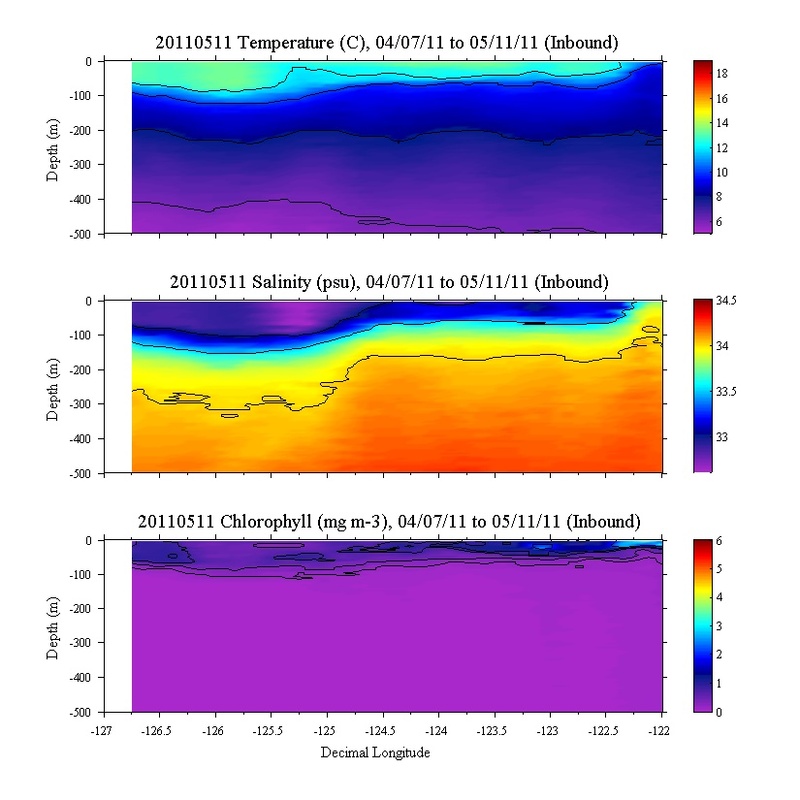 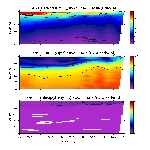 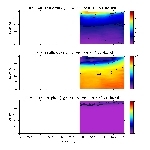 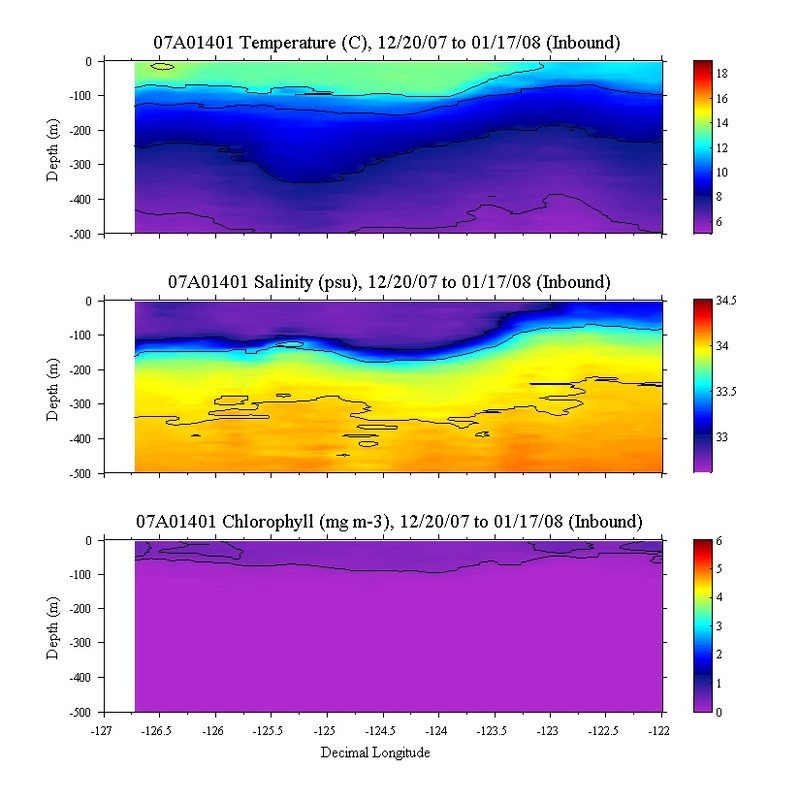 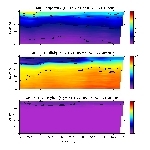 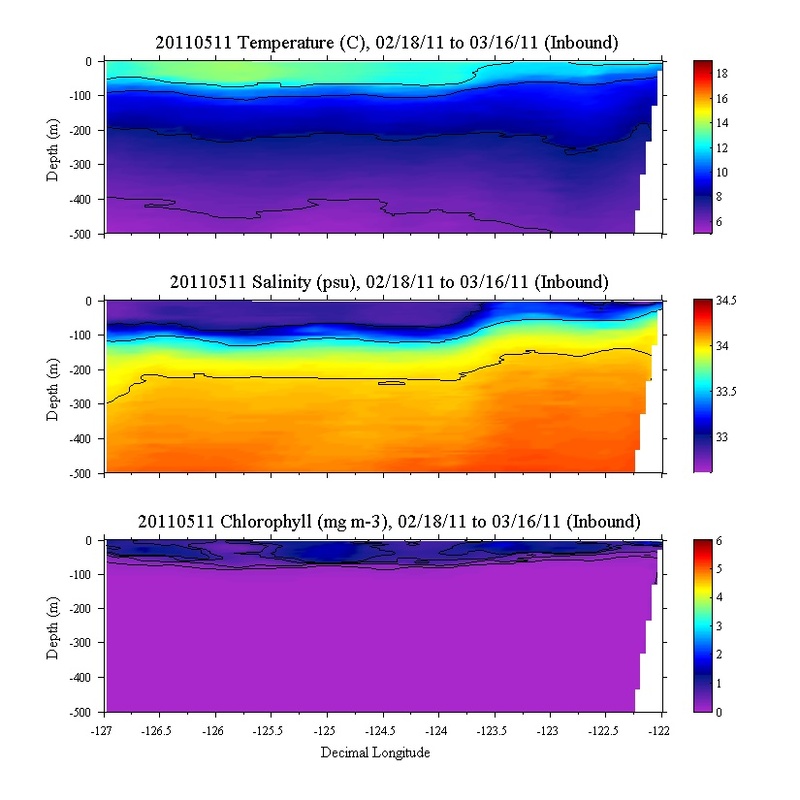 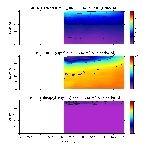 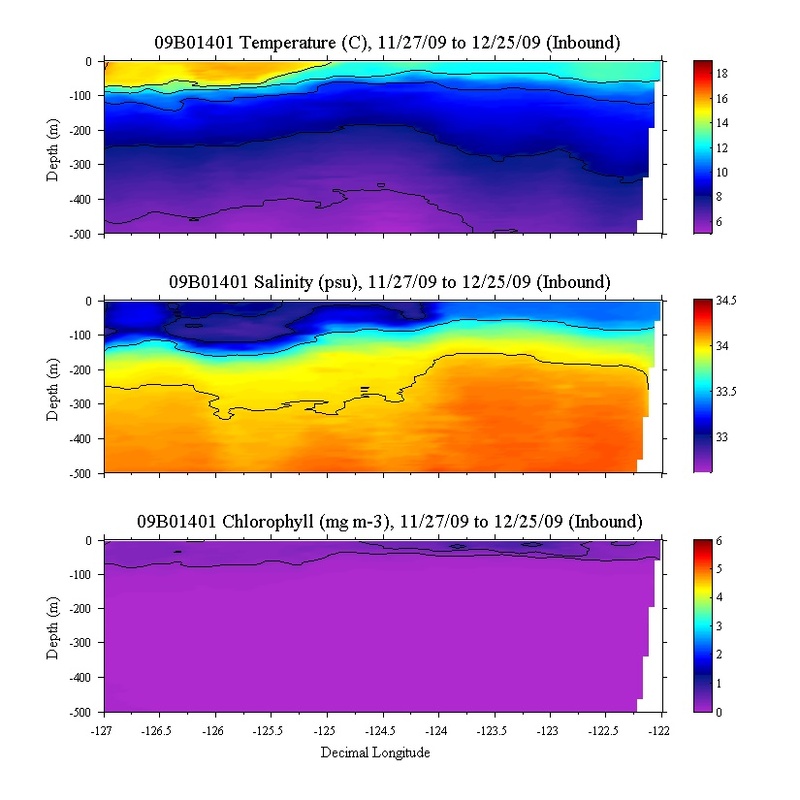 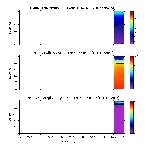 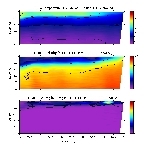 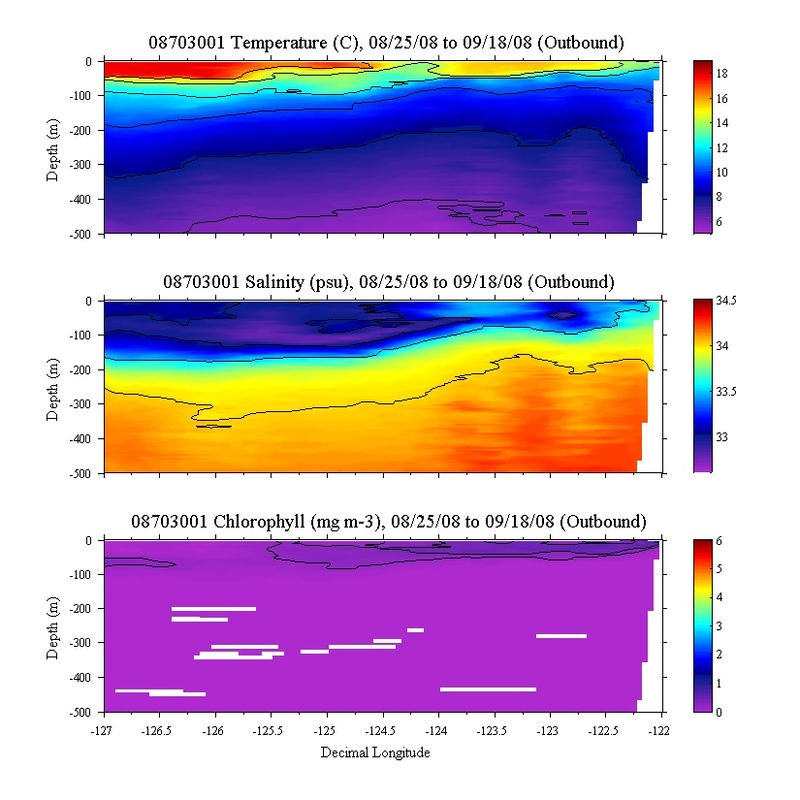 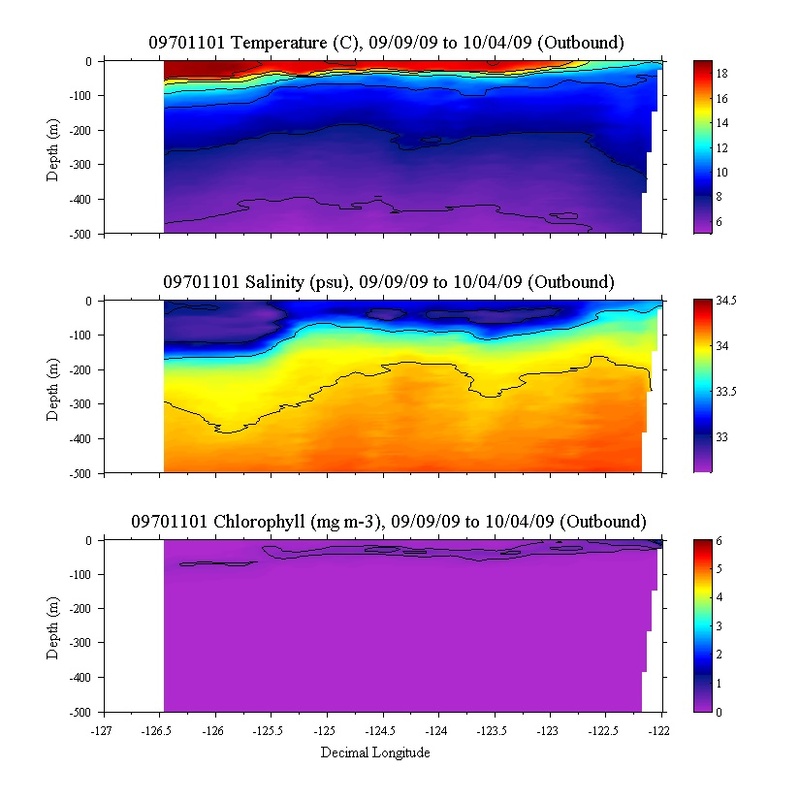 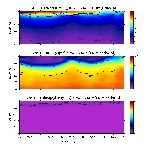 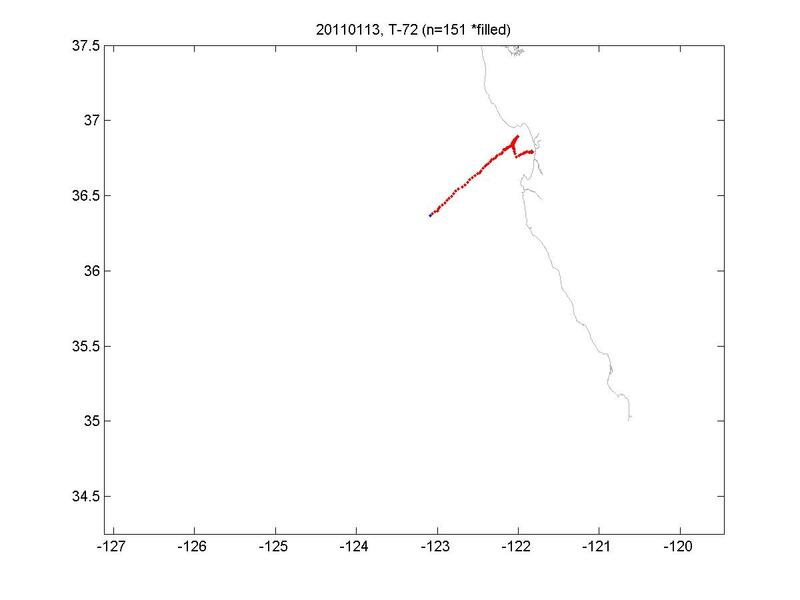 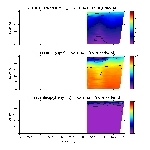 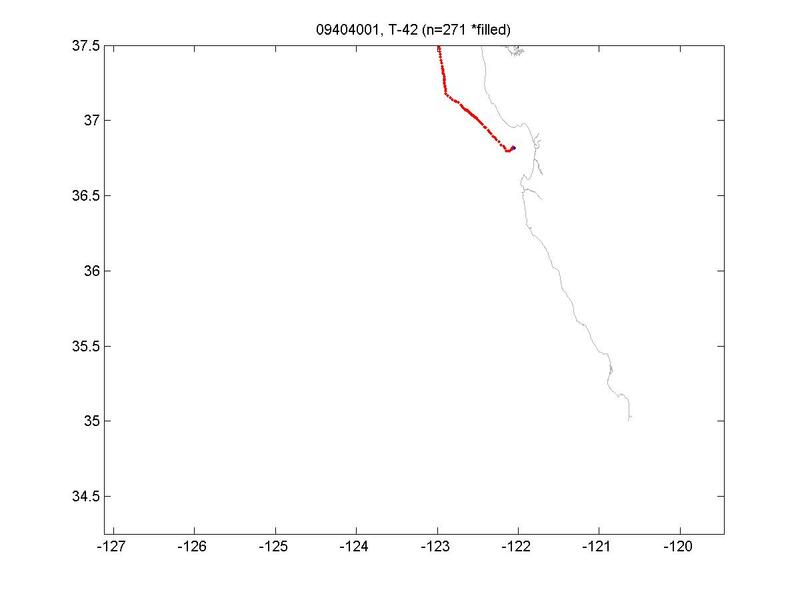 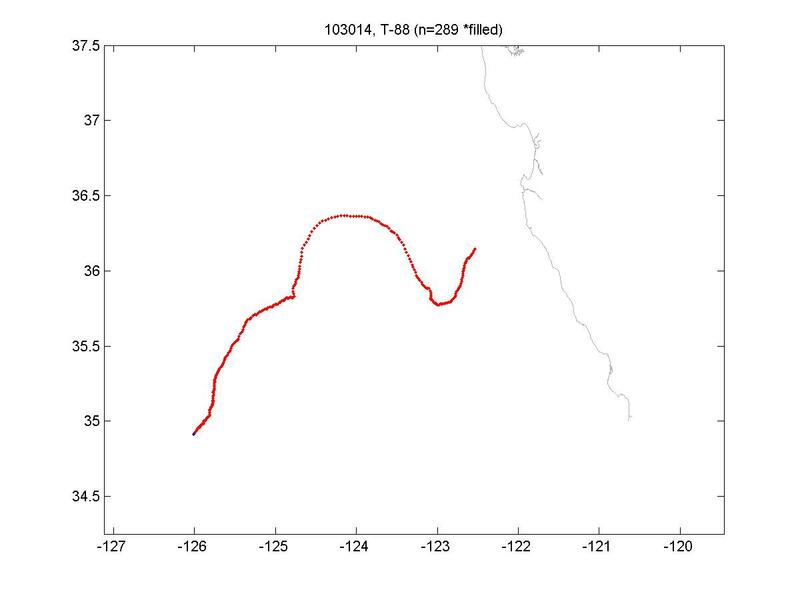 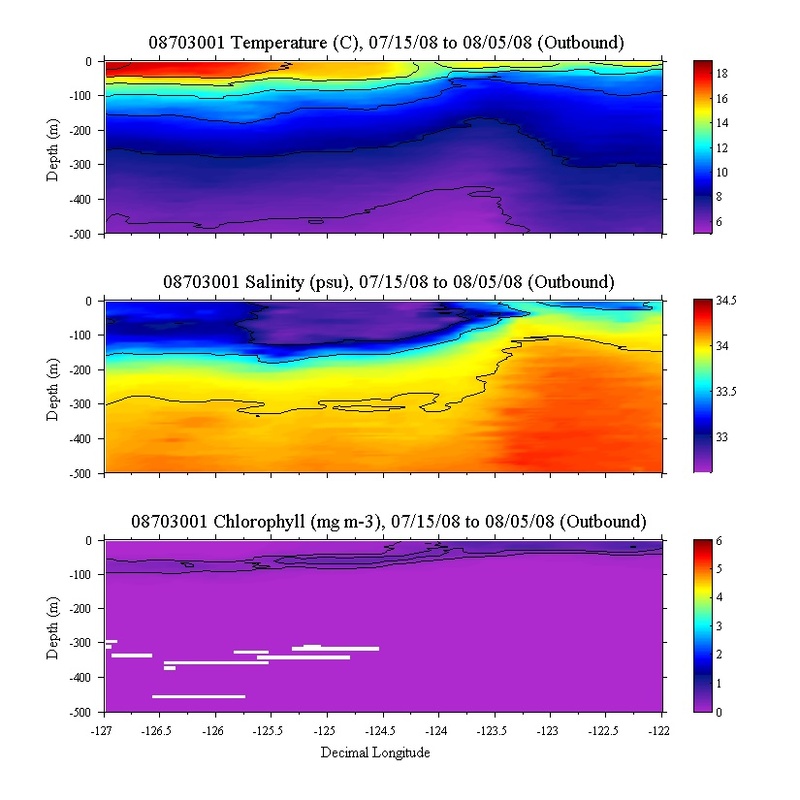 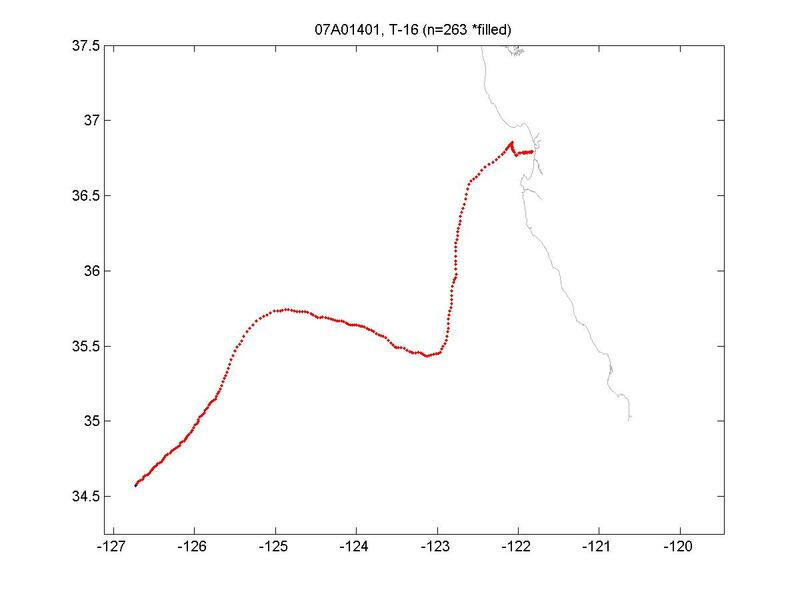 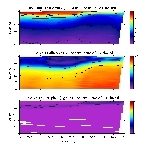 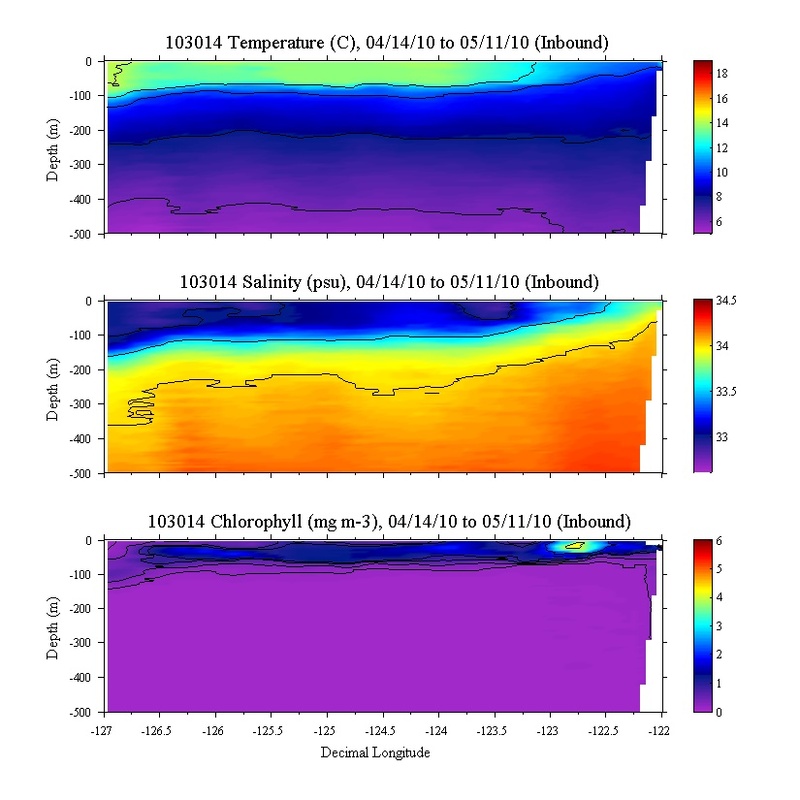 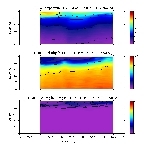 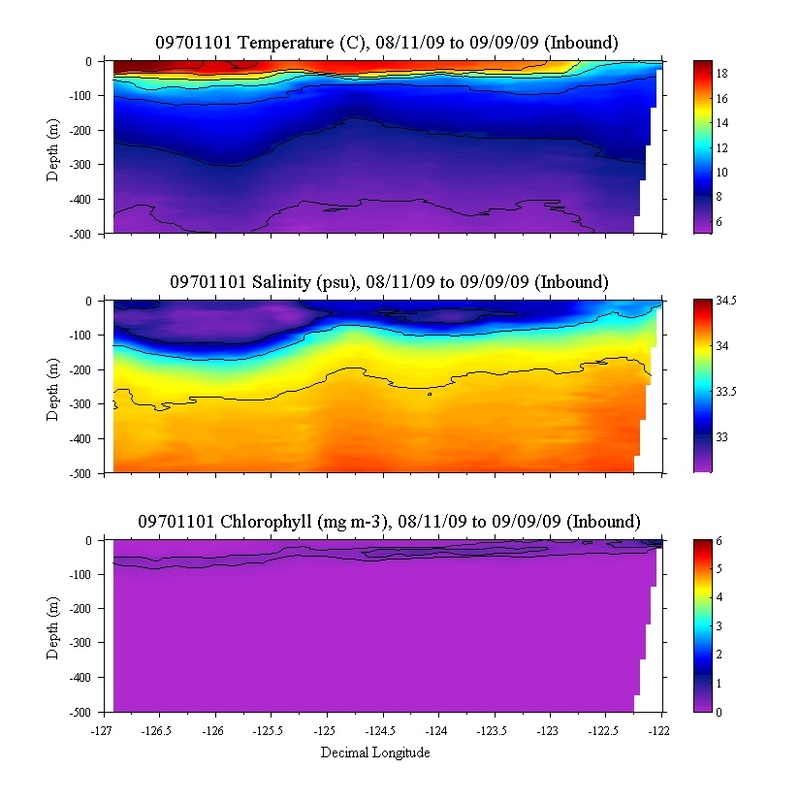 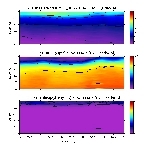 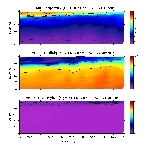 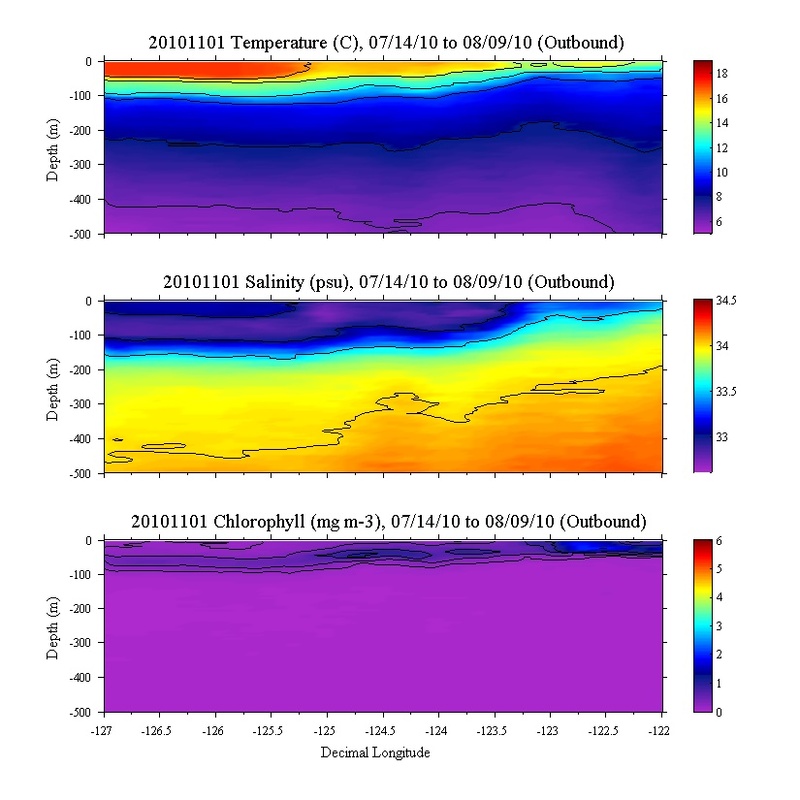 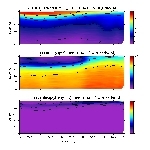 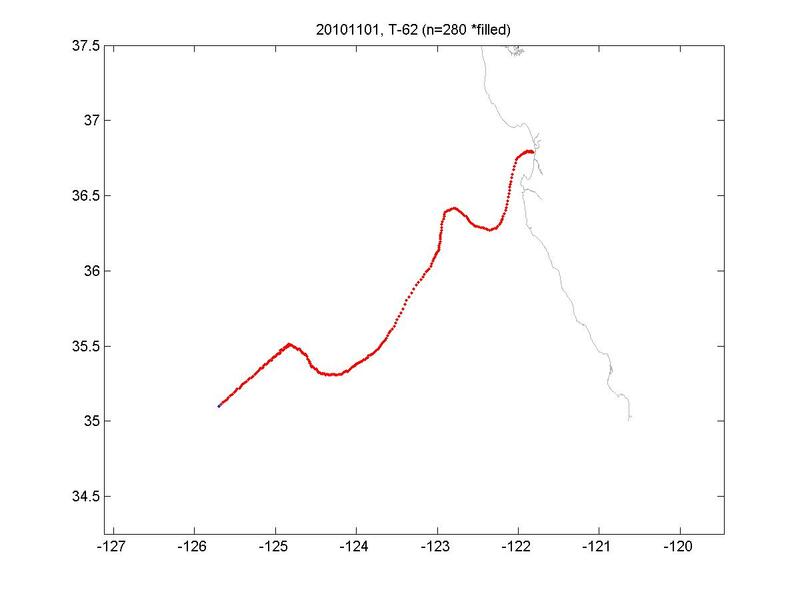 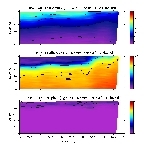 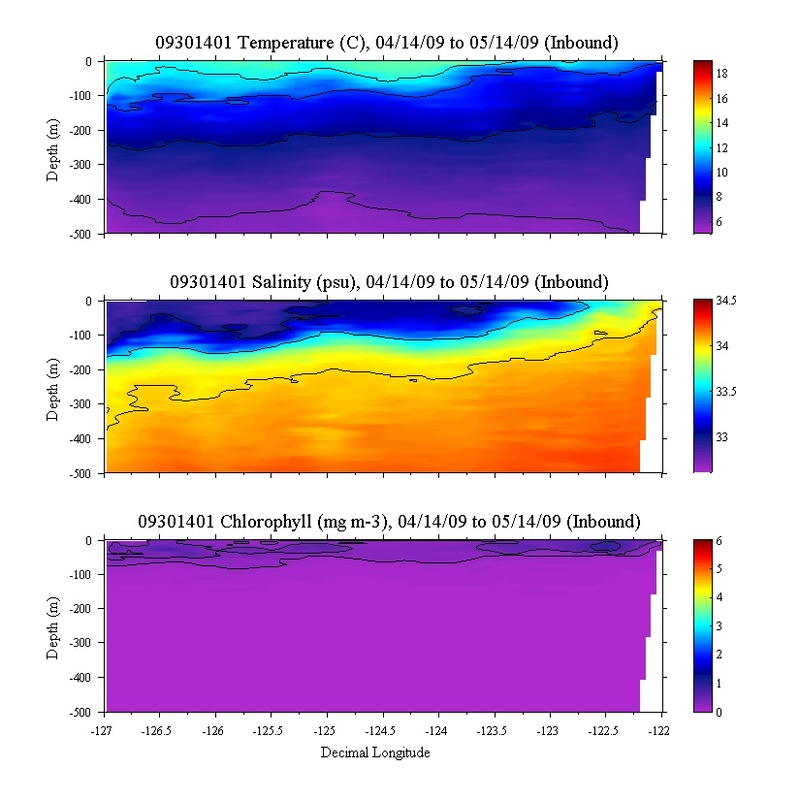 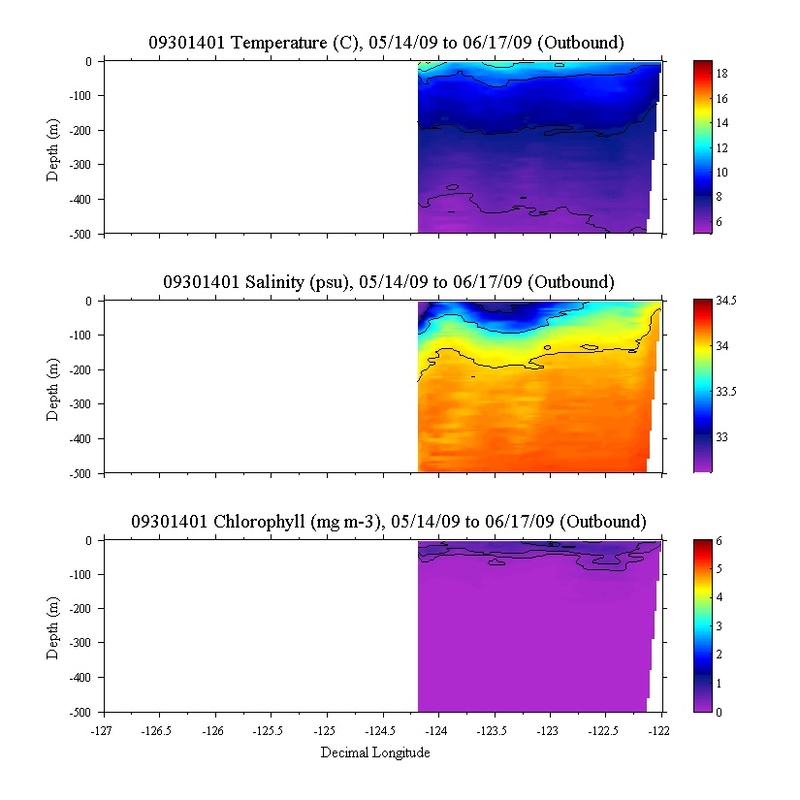 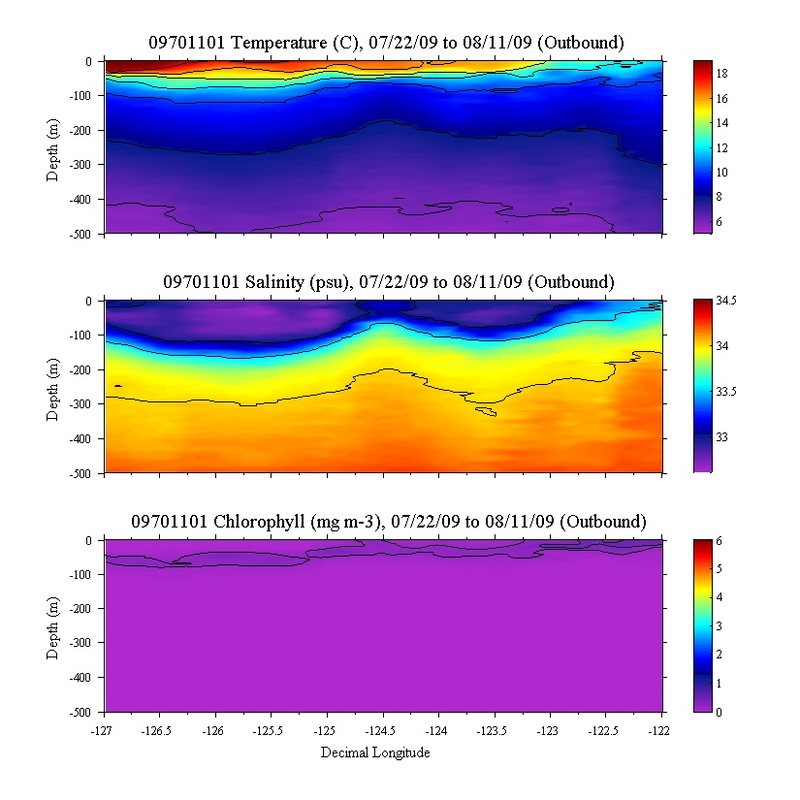 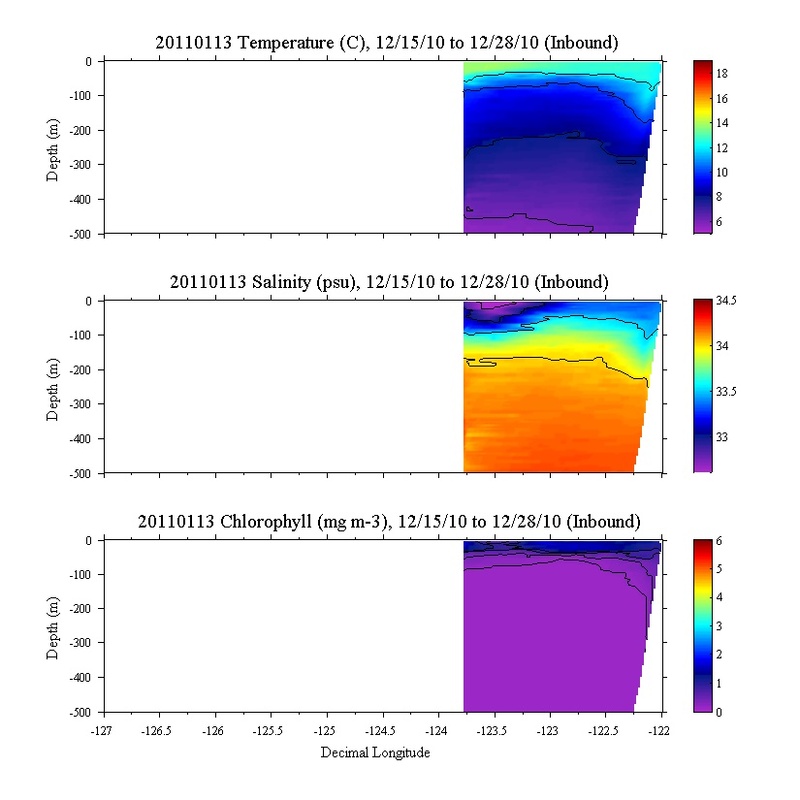 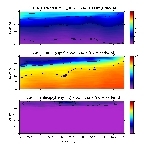 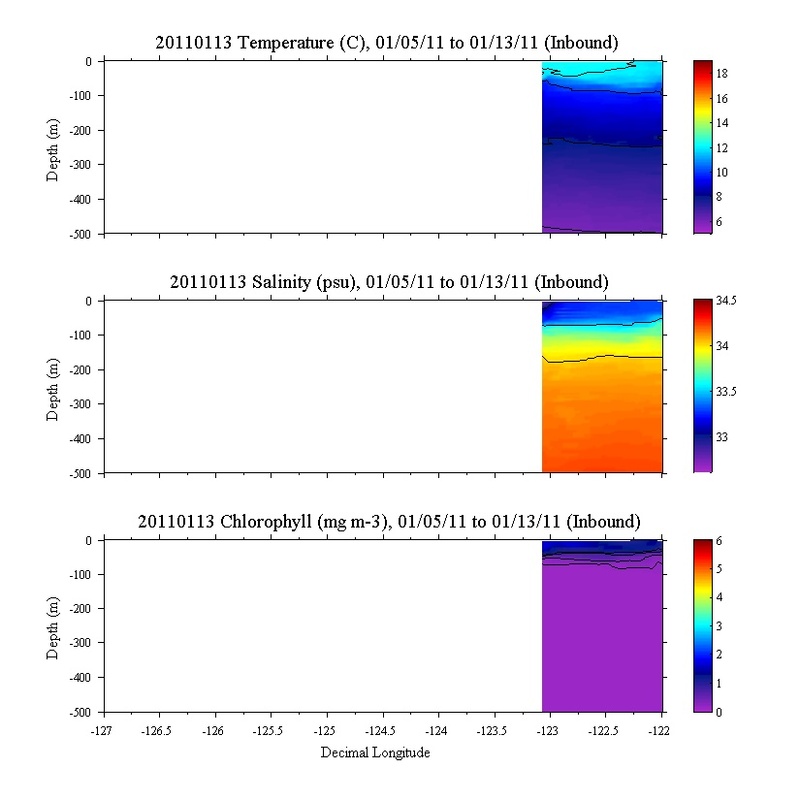 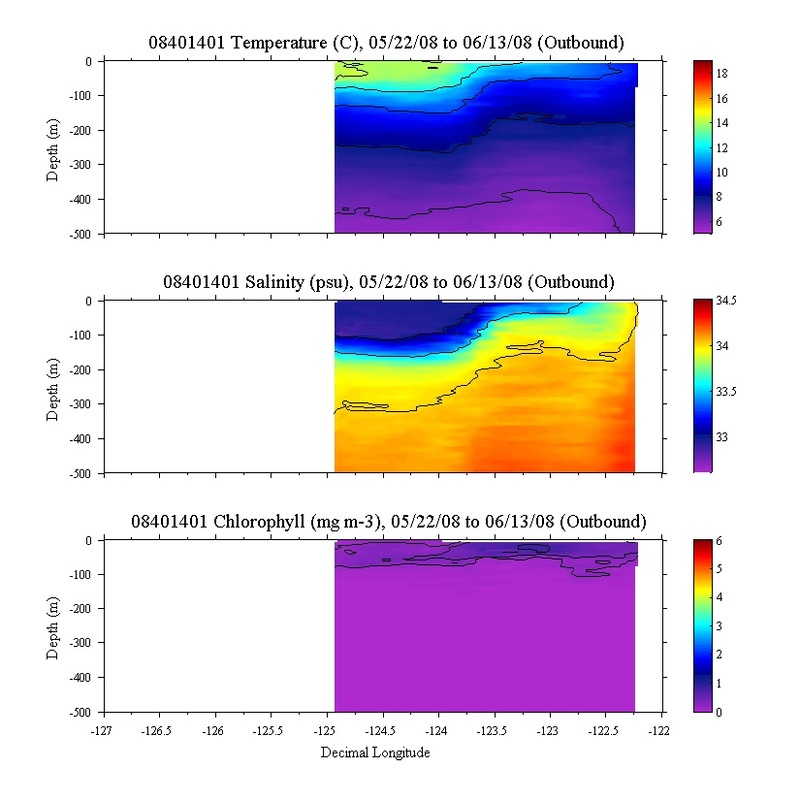 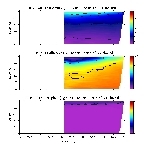 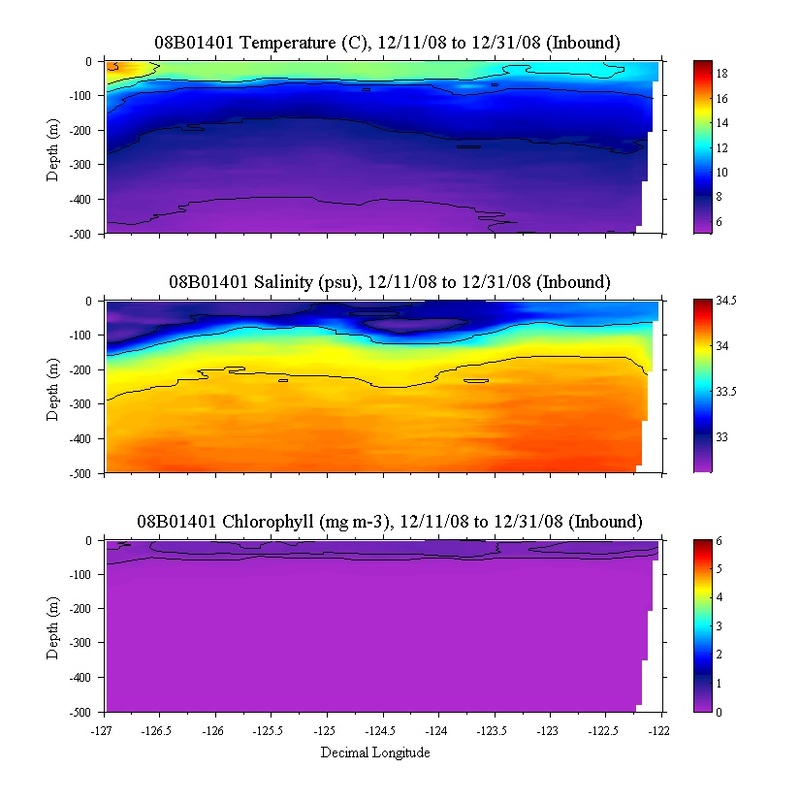 Below you will find depth contours for temperature, salinity, and fluorescence as well as transect maps. 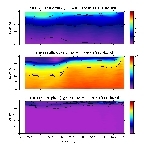 MBARI provides data "as is", with no warranty, express or implied, of the quality or consistency. 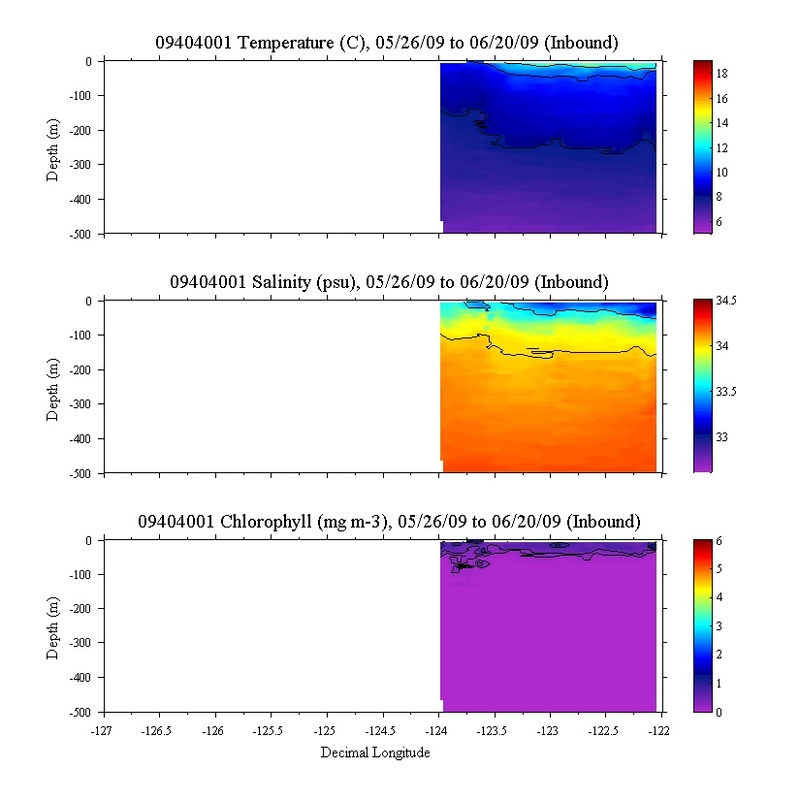 Data are provided without support and without obligation on the part of the Monterey Bay Aquarium Research Institute to assist in its use, correction, modification, or enhancement.